Guys, we need to talk... Mother's Day is May 13th this year and some of you, myself included, probably haven't even thought about what to gift your mothers. Well, fortunately for you, we have just about everything that your wife, mother, sister or daughter may want. Take a look at these great products and show the women you love just how much they mean to you in 2018! 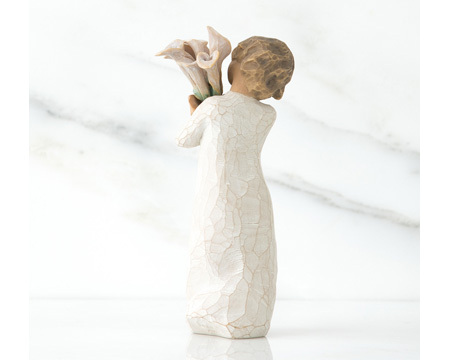 If you're tired of traditional Mother's Day gift, then you could enter to win one of five Willow Tree figurines signed by Susan Lordi. 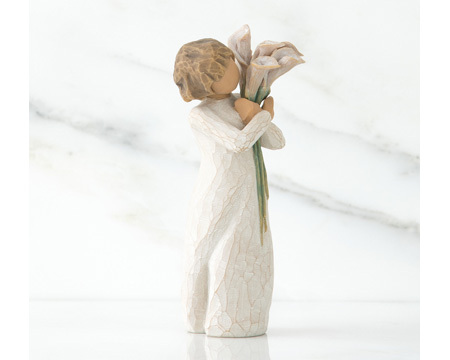 These Beautiful Wishes figurines are reminiscent of young love, health and happiness. Watch our Facebook and Instagram pages for how to enter. 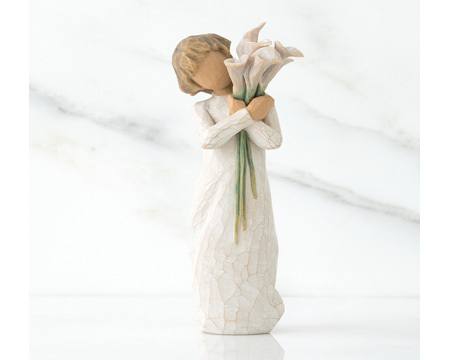 We have a whole selection of these beautiful figurines in our stores. You're sure to find the one that captures the relationship you have with all the amazing mothers in your life. View part of our selection by clicking on the images above! 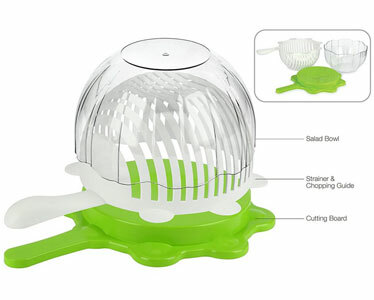 Nothing says "I love you" like a kitchen gadget or tool designed to save the woman you love more time during meal-prep and cleanup. 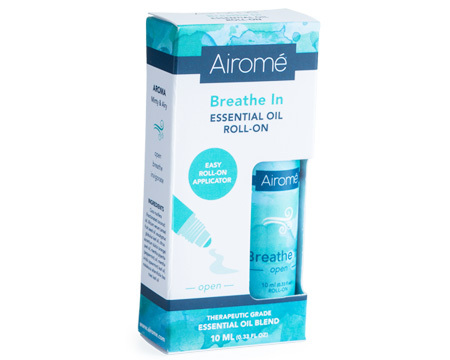 These great products will do just that! 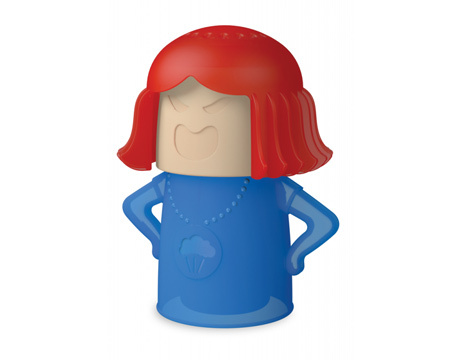 The Modi Silicone Egg Molds are a fun way for her to spend breakfast with her kiddos. Everyone will have a blast before heading off to work, school, or play. 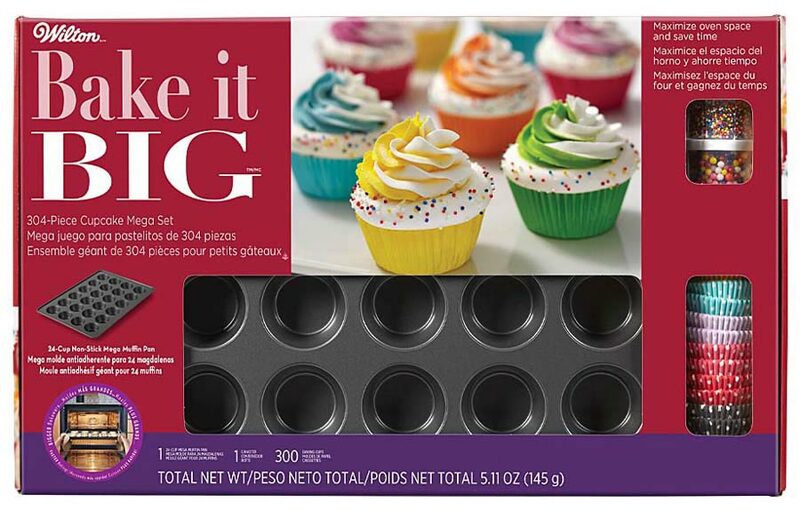 She'll be a hit with her kids' friends after baking some cupcakes with this Wilton Bake It Big Cupcake Set. What fun memories she will make with them all. 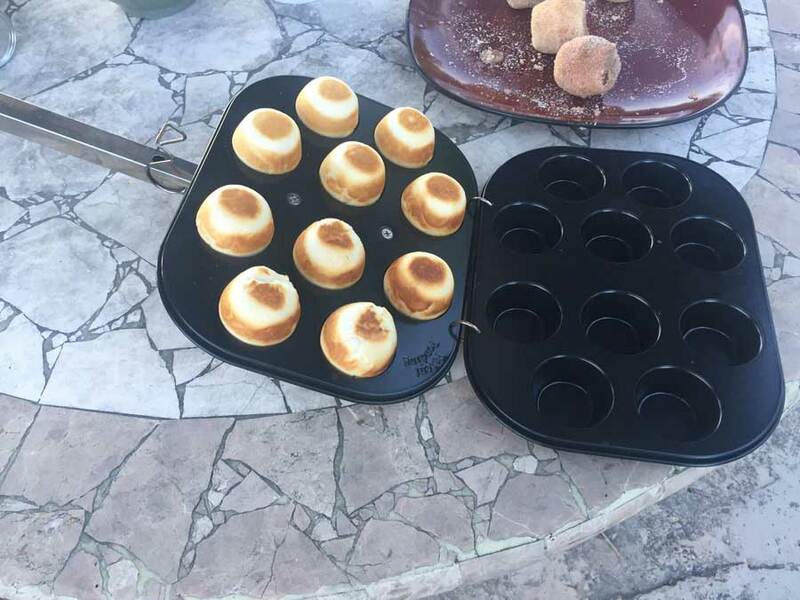 It's definitely a baker's must-have! 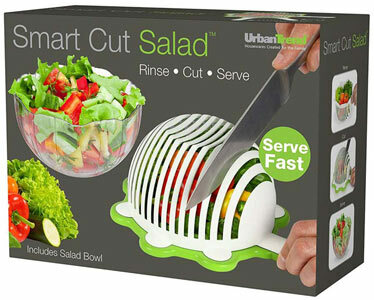 The Smart Cut Salad Chopper will save her time at during meal prep. With the time saved she'll be able to spend more time with her family around the dinner table. 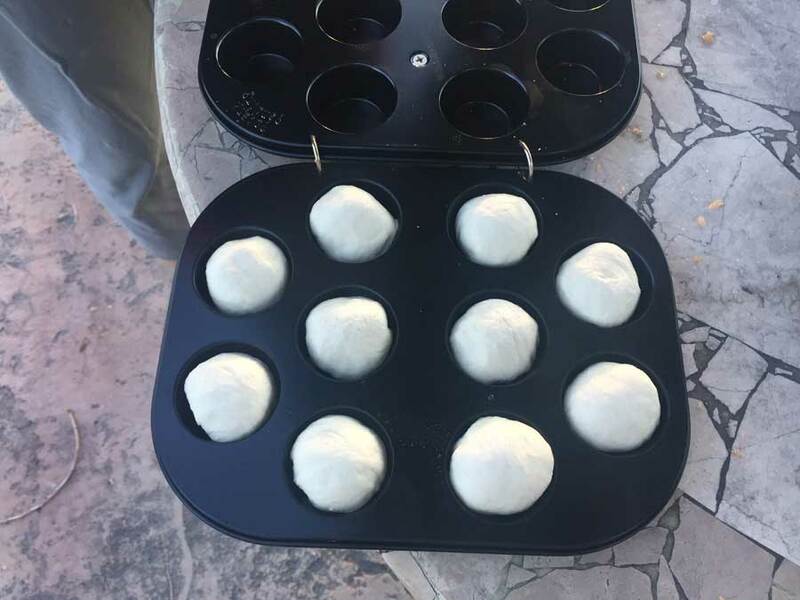 Plus, it's so easy to use that her teenagers will enjoy helping her in the kitchen! 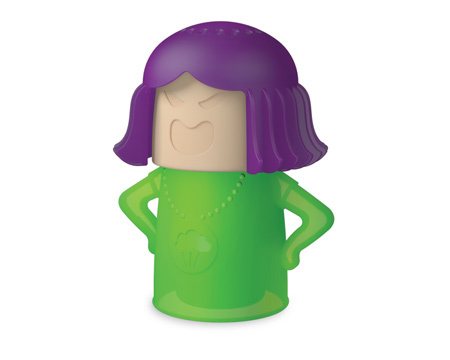 Enjoy spending time with your Happy-Mama by getting her the ANGRY-mama Microwave Cleaner! Hot steam makes cleaning the microwave a fast, pain-free process. 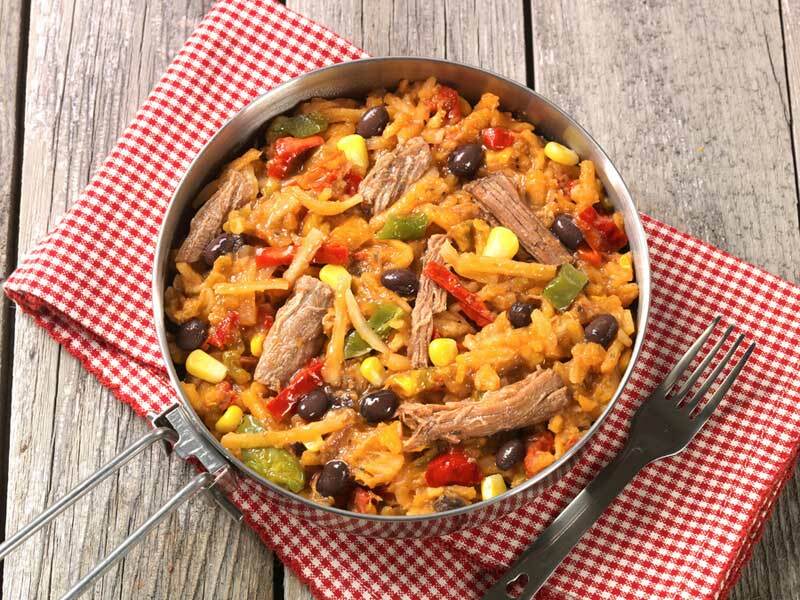 Cook delicious, family-approved meals in the Presto 6 Quart Electric Pressure Cooker. 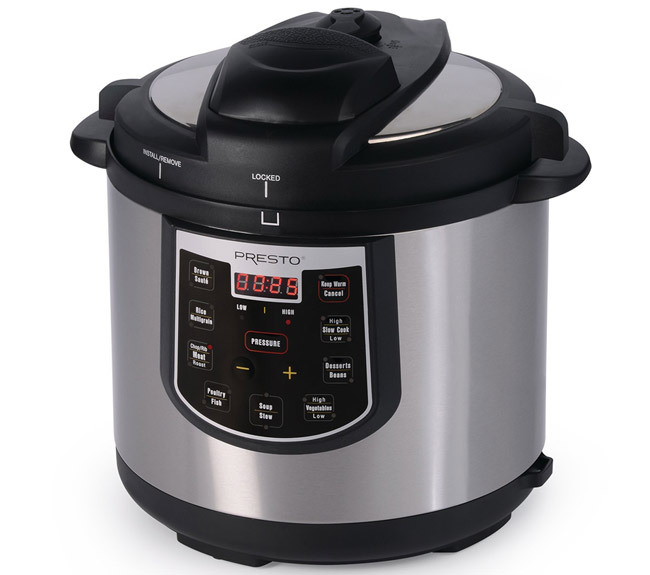 See this pressure cooker in action on Saturday, May 12th from 11 a.m. to 4 p.m. You'll be so impressed with the possibilities and your loved one will love how easy it is to cook a meal the whole family will enjoy. 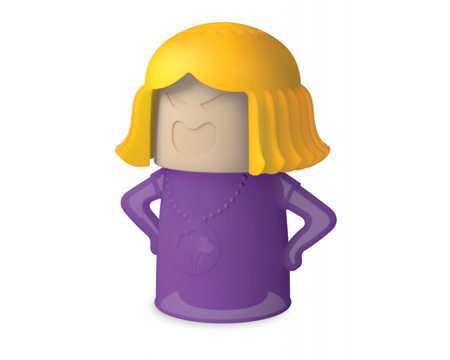 Thankfully there are hundreds of ideas for Mother's Day gifts. You can always choose from a wide array of kitchen gadgets from many trusted brands like OXO, Tovolo, Core Home and Progressive. 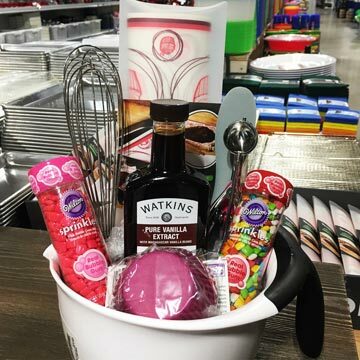 We have plenty to choose from in our basketland! 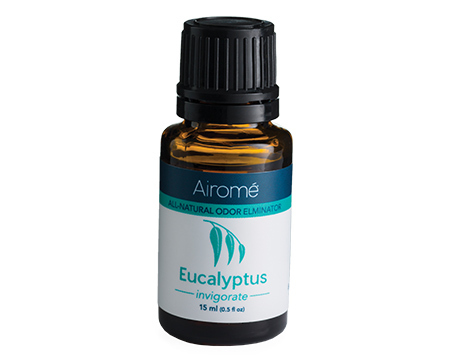 All-natural essential oils have many therapeutic properties. Certain oils are known to balance one's emotional state, boost immune systems and relieve muscle and joint pain. 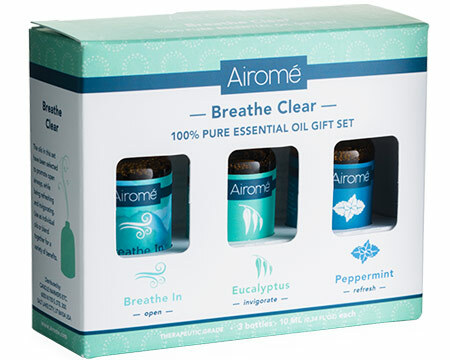 Show the moms in your life how much you love them with these amazing products. 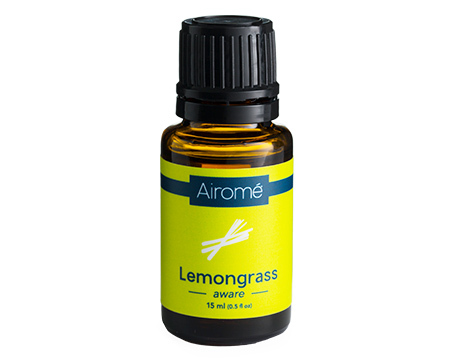 After relaxing inside, it's time to get the mothers in your life outdoors to relax! Help her relax in her yard with beautiful yard decor and some Buzz Along Essential Oil Blend to keep the bugs away. 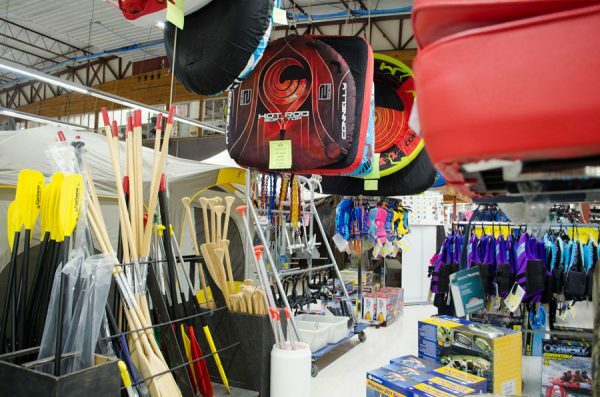 Come on in to see our selection of garden decor, ranging from wind chimes to wind spinners to lawn and garden stakes. 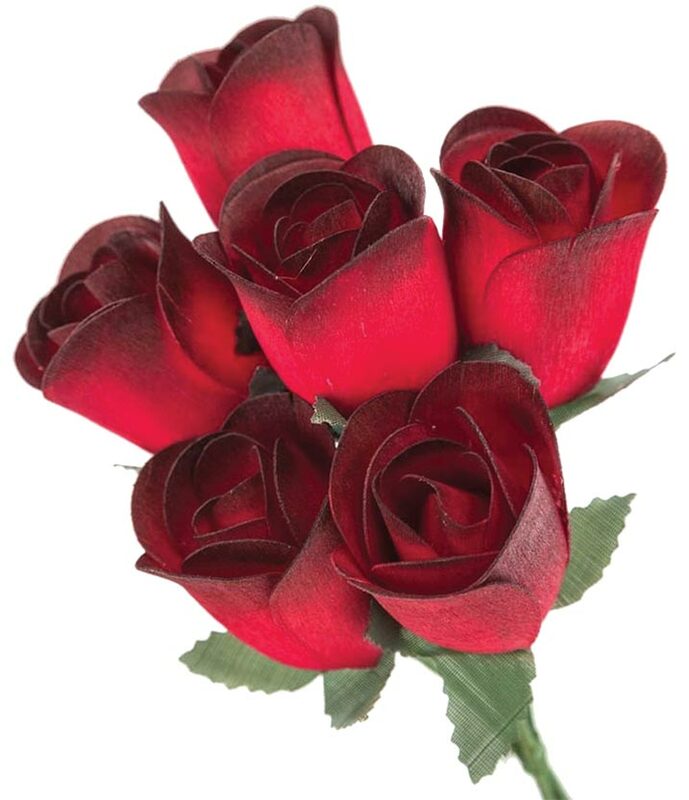 Or gather up a bouquet of wooden roses! 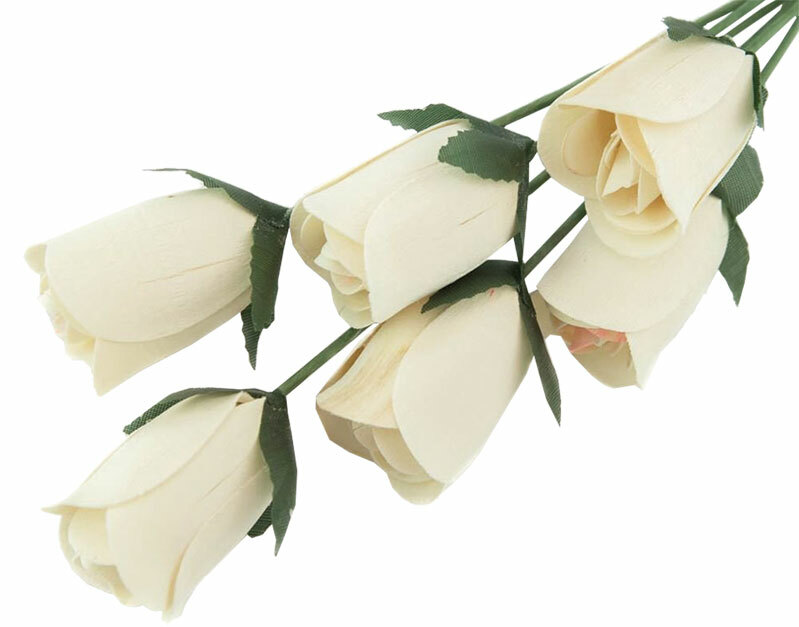 They never die and can serve as a permanent reminder of the love you have for her. 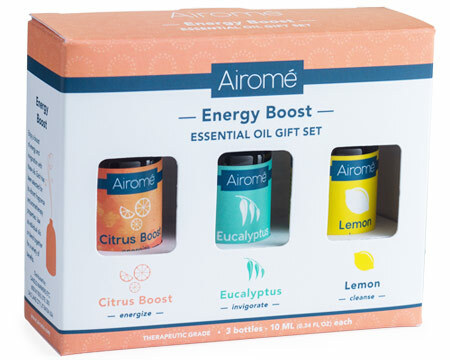 Still can't decide on just one gift? 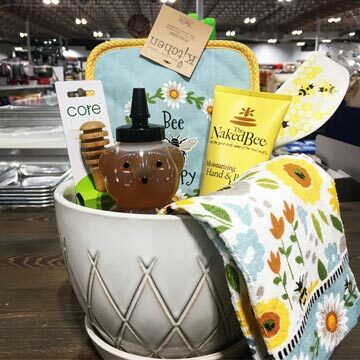 We have a great selection of items that you could bundle for the perfect Mother's Day gift. Check out these great displays for inspiration! 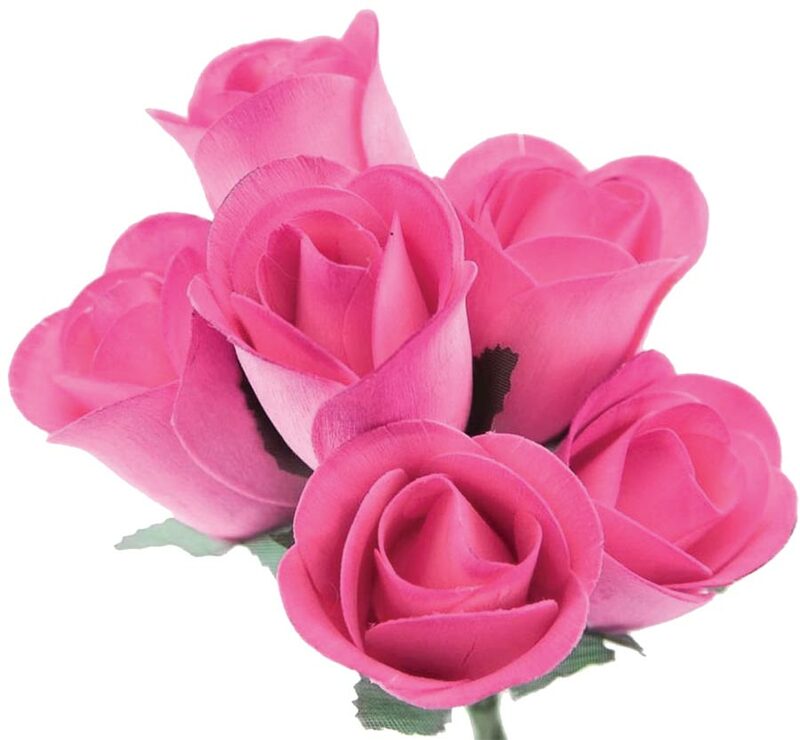 Whatever you decide to get your wife, mother, or daughter for Mother's Day will be sure to make her happy. As we all know, when mama's happy, everybody's happy. 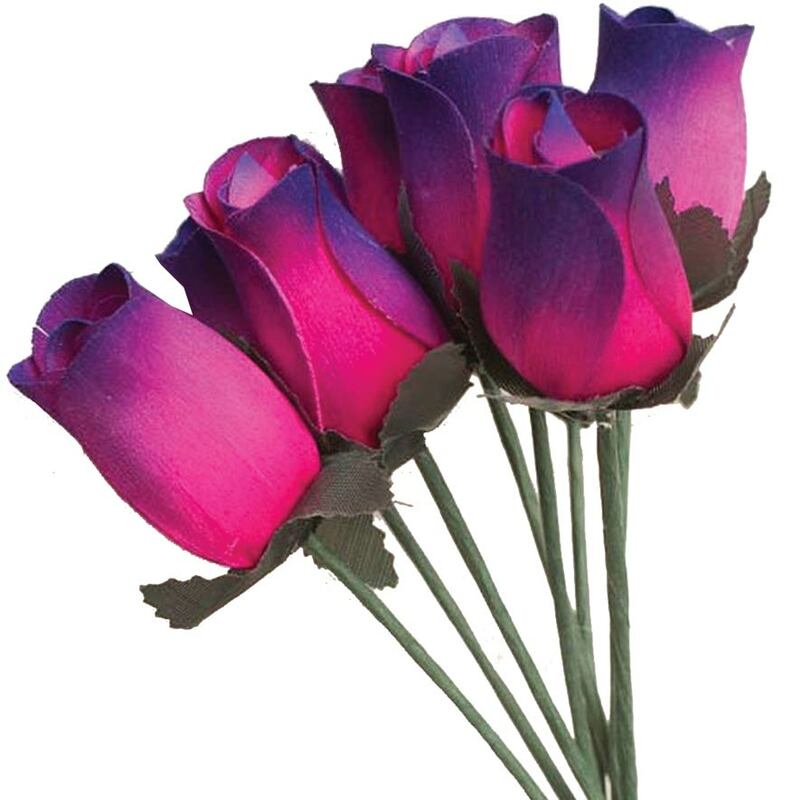 Be sure to give a meaningful gift to show just how much you appreciate these beautiful women. We'll be here to help and find the best gifts for these special women. Canning season in Northern Utah is in full force! We have some new canning gadgets you need to know about. 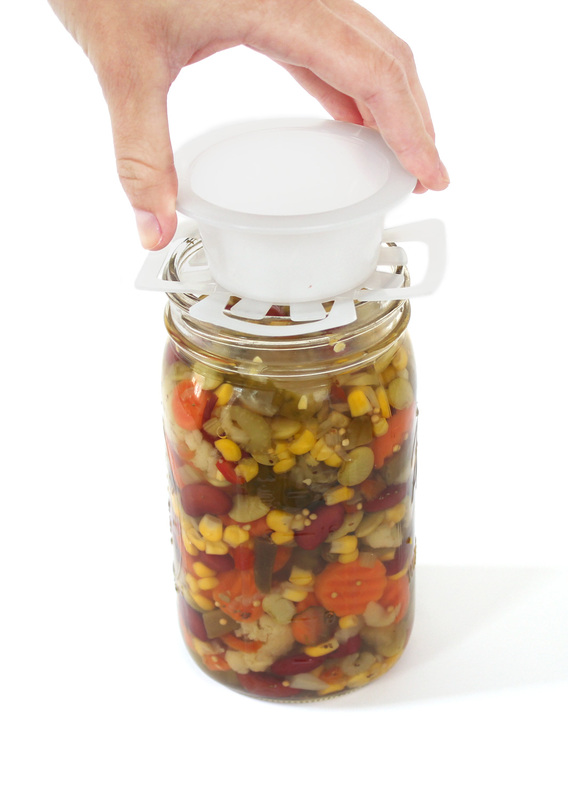 You'll love these great products designed to make your favorite home pickled foods in smaller, faster batches. 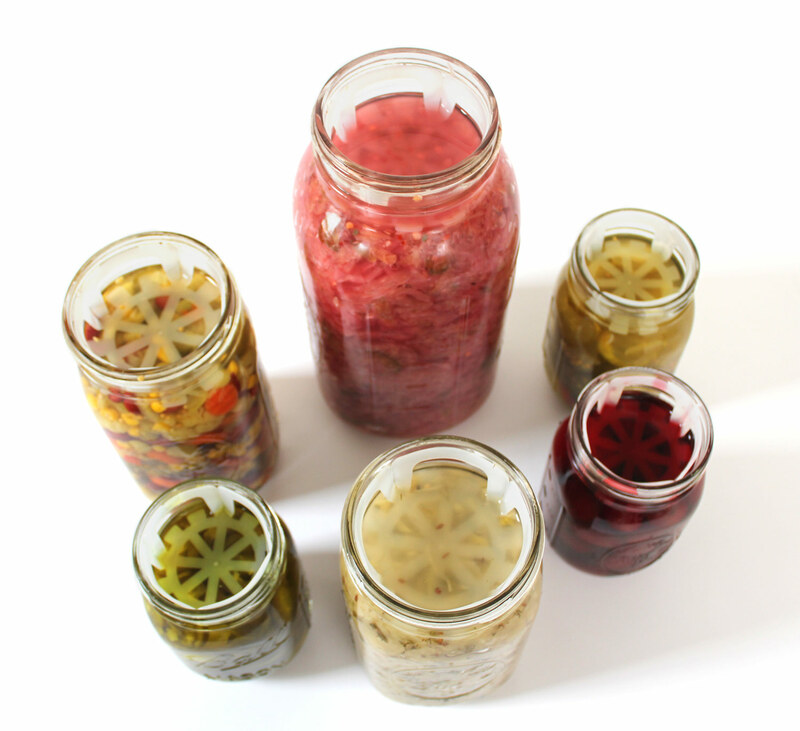 Fermentation Creation and ViscoDisc are sure to change the way you can, pickle, and ferment foods. So come on! 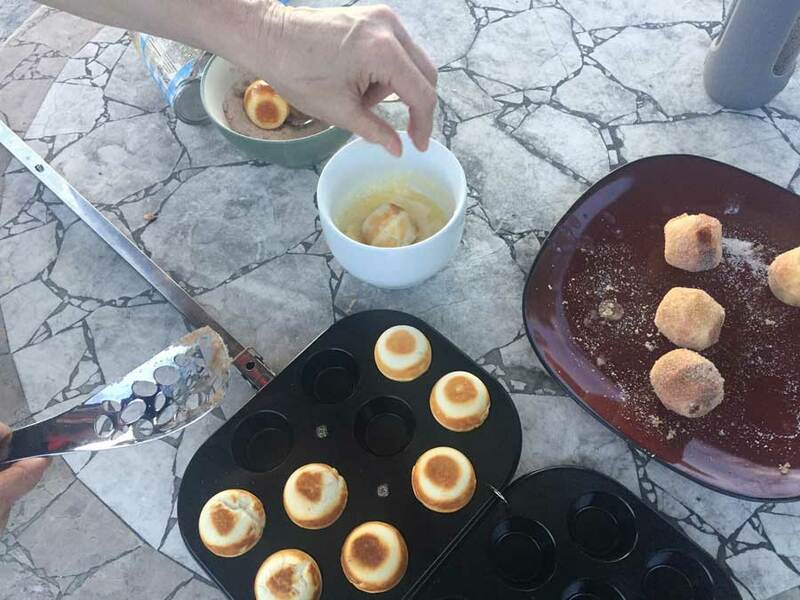 Let's create some delicious foods that are sure to be a hit at your next family party. Fermentation Creation was founded by two friends with the desire to bring the American agricultural spirit back into homes across America. 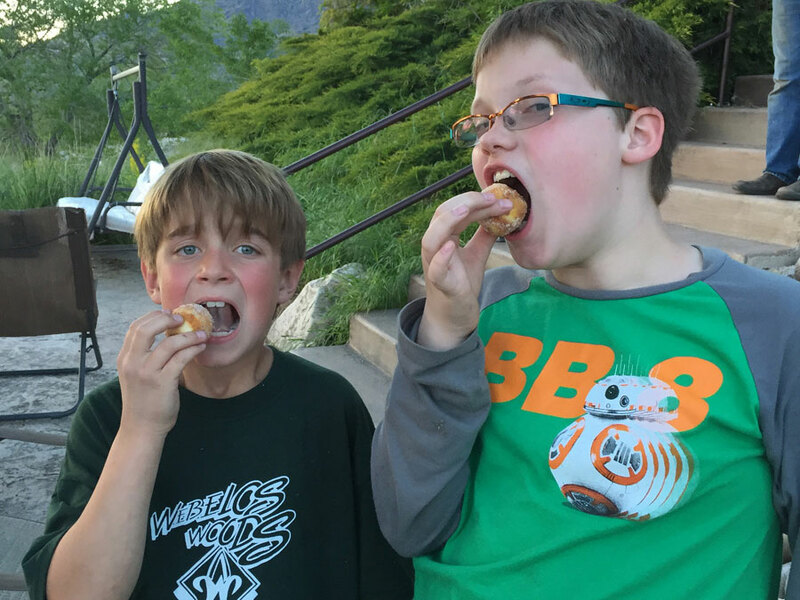 Jon Lusby and Greg Griffith family histories of hardship, farming, and survival drove them to working in sustainable farms and sharing their passion for food consciousness with others. You can learn more about their great histories by clicking here. 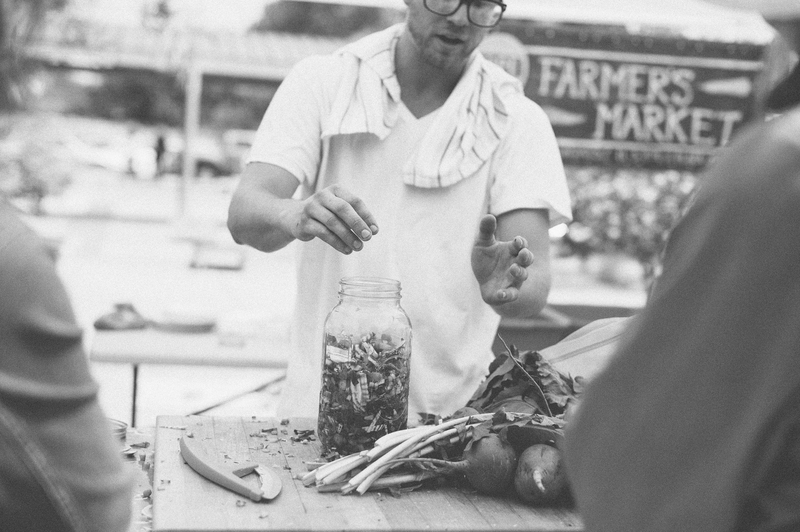 This desire helped Jon and Greg develop small batch pickling and fermenting kits. Thus Fermentation Creation was born. 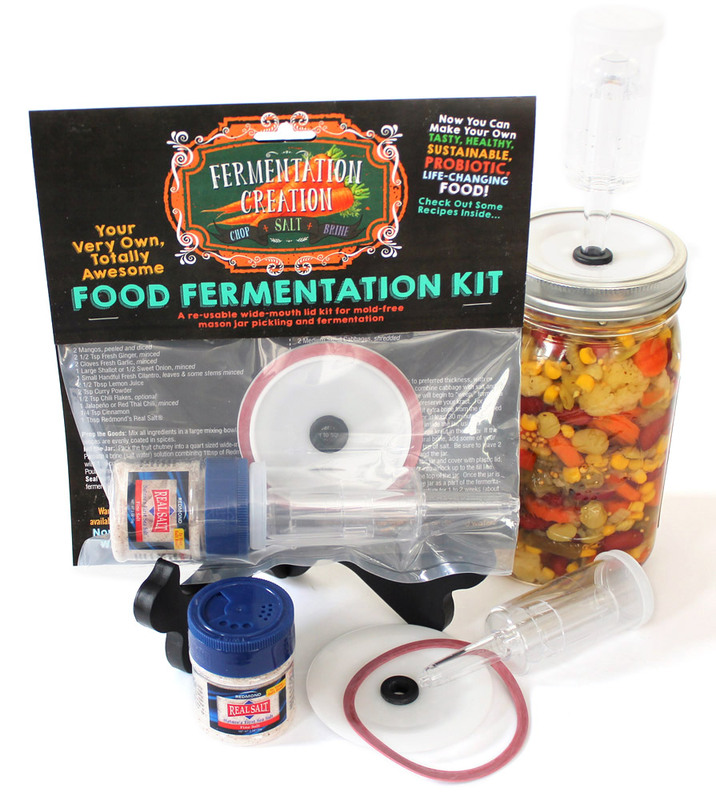 These kits help introduce people to the world of pickled and fermented foods that are pack with probiotics. They also allow people to continue the adventure of home canning and fermenting without overwhelming yields. We carry two of their kits in our store. 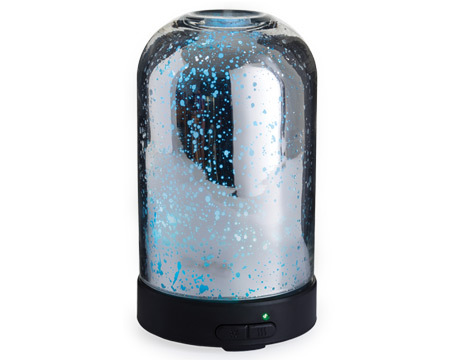 The lid kits include one specialized Ball mason jar lid, one rubber seal, one 3-piece airlock device, one 2-ounce bottle of Real Salt, and one instructions card with 4 included recipe cards. 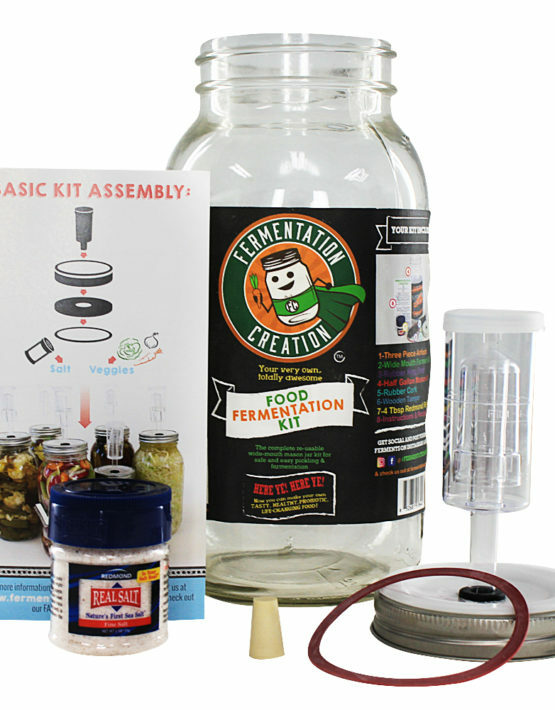 The full kit also includes a half-gallon Ball mason jar, rubber cork for airlock seal and an instructions/recipe booklet. These kits are the perfect solution for making small batches of your favorite home pickled foods. 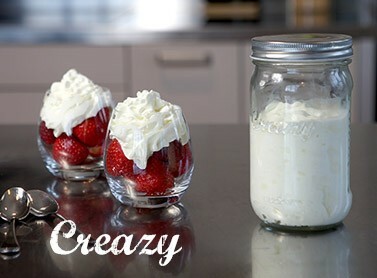 You can follow the great recipes included or look elsewhere for additional recipes. 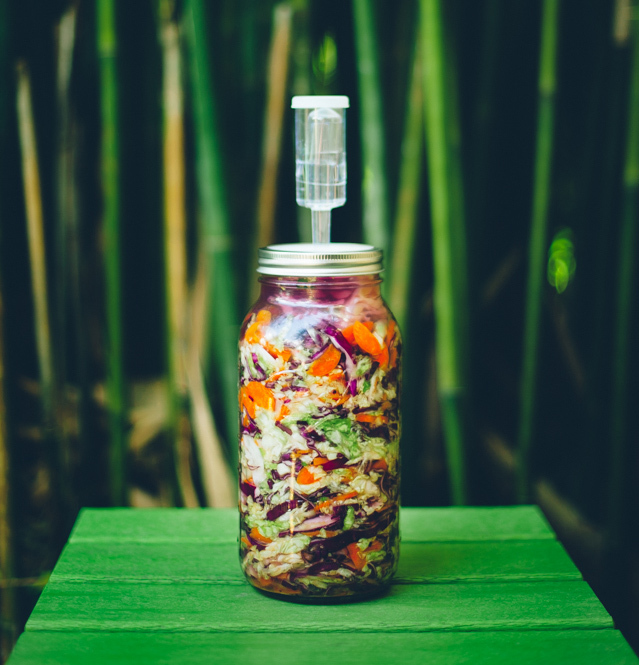 The possibilities of fermented foods are endless! 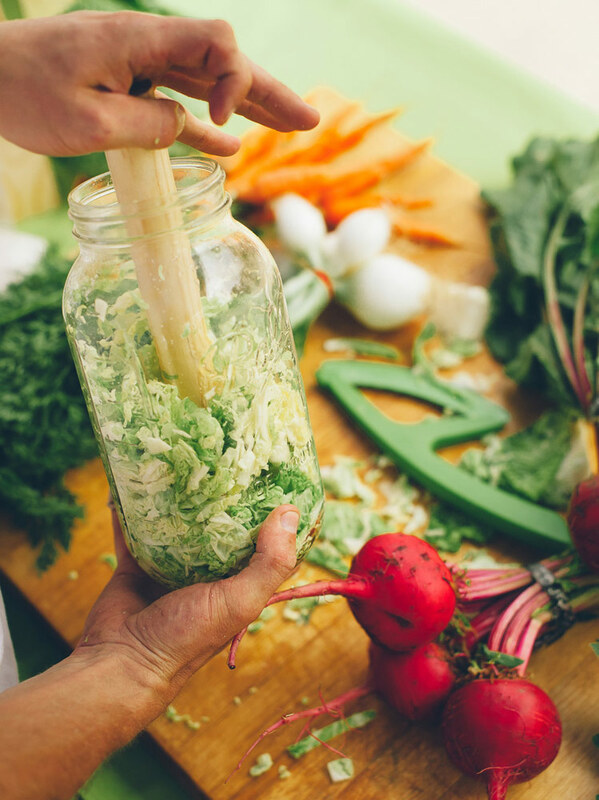 An important thing to remember when fermenting is to keep all produce under its brine. But how can one possibly accomplish that? 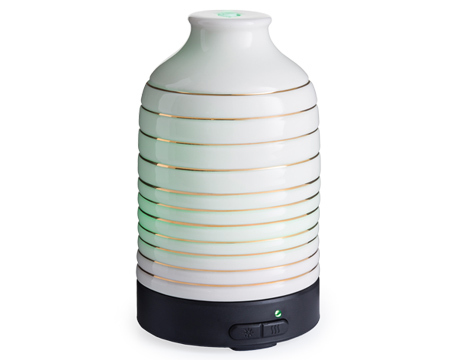 Let me introduce you to ViscoDisc. 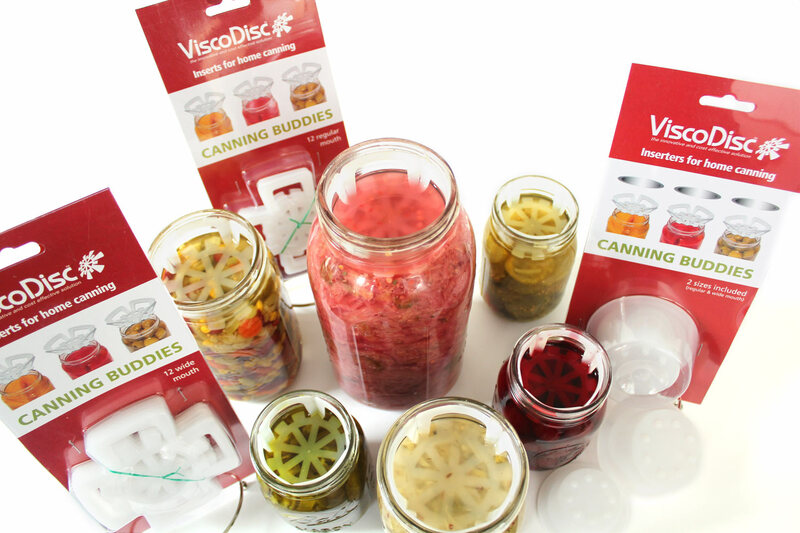 The ViscoDisc insert is a universal tool that is great for small-batch pickling and fermenting and canning. 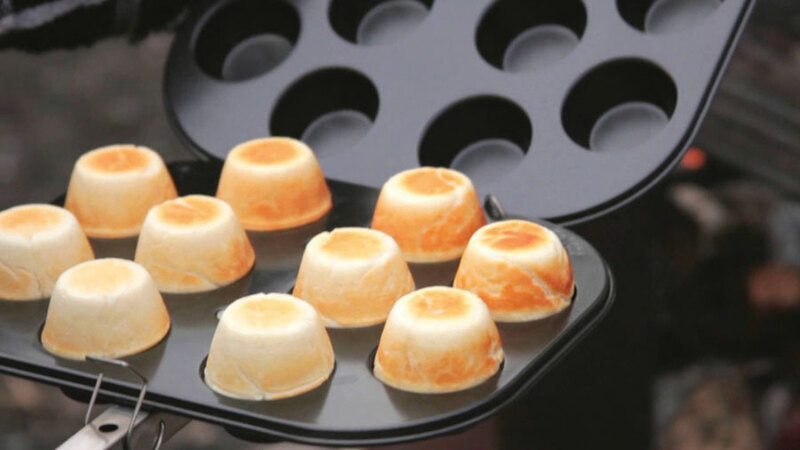 It was developed to prevent produce from protruding above their syrups and brines. Simply insert the sterilized ViscoDisc insert into the top of your packed jars with the ViscoDisc inserter. Fruits and vegetables are held under their liquids for perfectly preserved produce every time. 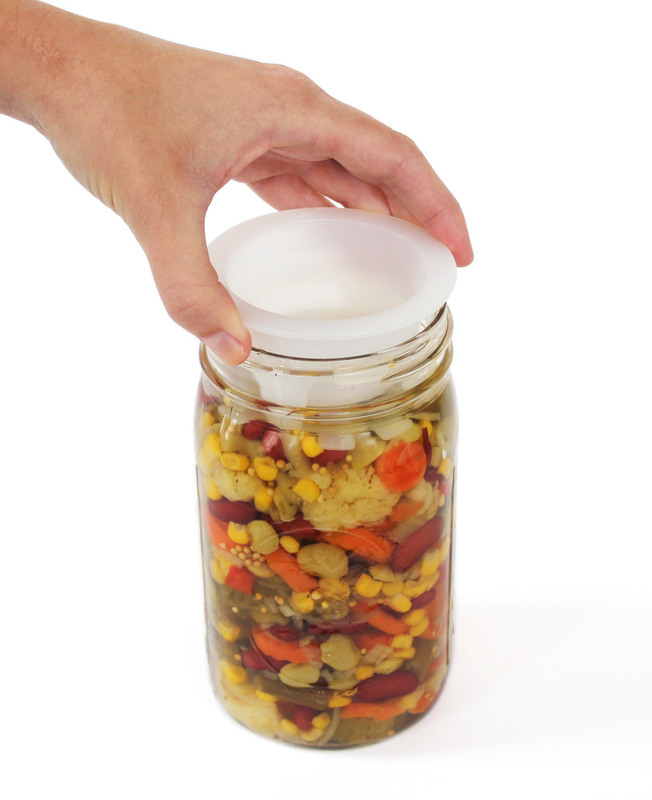 When canning, remove the ViscoDisc insert with a fork. Bottle should not be processed in hot temperatures with the ViscoDisc inside. 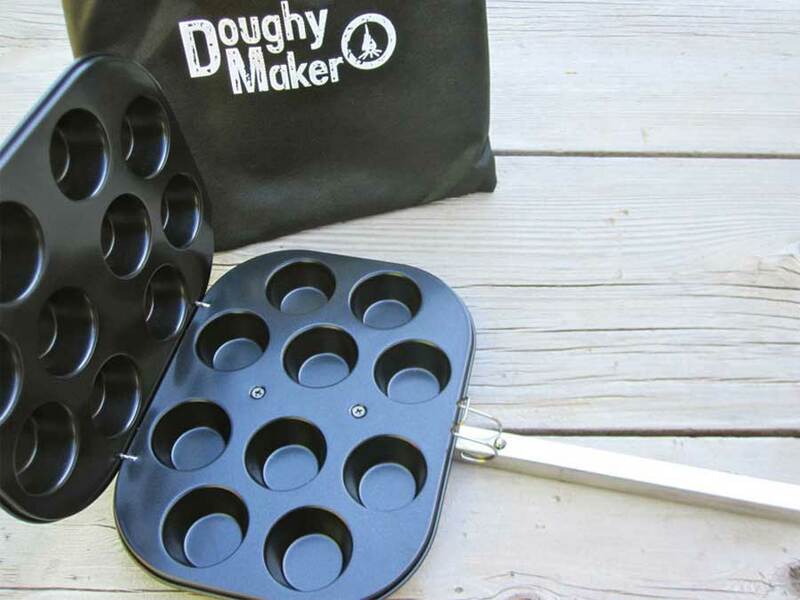 This great tool will ensure that you have enough head space when processing in both waterbath and pressure canning. When pickling and fermenting, go ahead and leave the inserts in the bottles! This will hold produce under it's brine and prevent it from coming into contact with the mold that could grow on top of your yield. Don't worry about the food under the surface. Simply scrape off that top layer and the food inside will be perfectly preserved and safe to eat. Shop Smith & Edwards online for the ViscoDisc Wide Mouth and Regular Mouth inserts. Buy a 2-pack of the ViscoDisc Inserter with wide and regular sizes included. 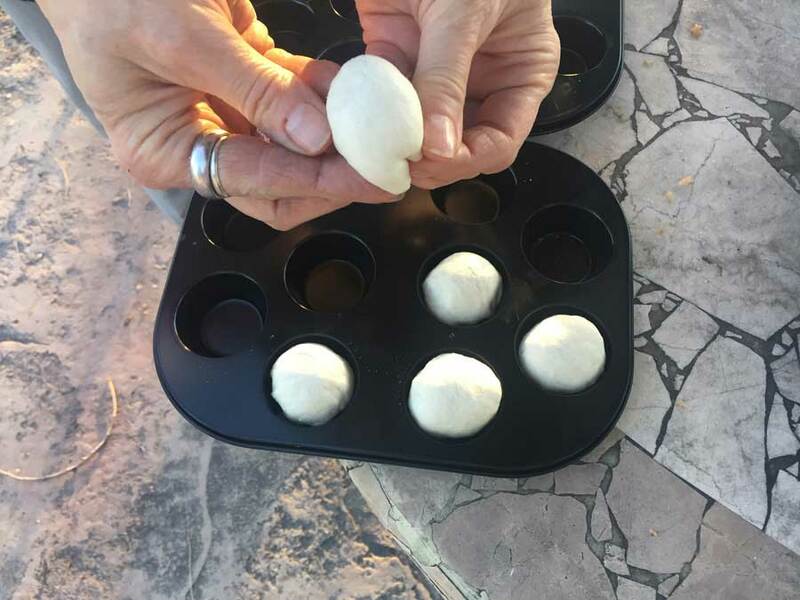 For additional questions you might have about preserving foods and proper technique, check out the USU Extension Office! 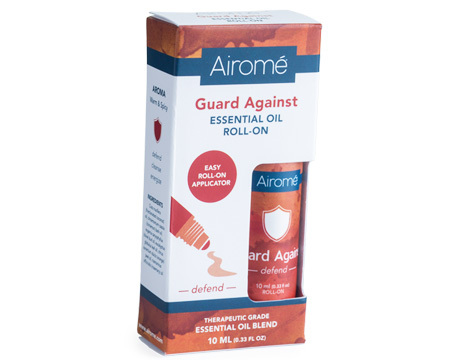 They have all the know-how you need to be confident and safe. 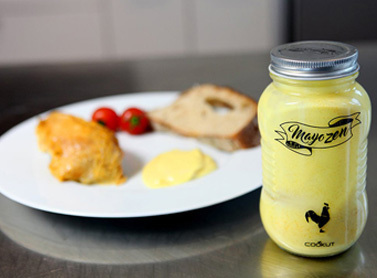 The world of home preserving is always changing. We will be with you every step of the way with the newest brands and hottest trends. 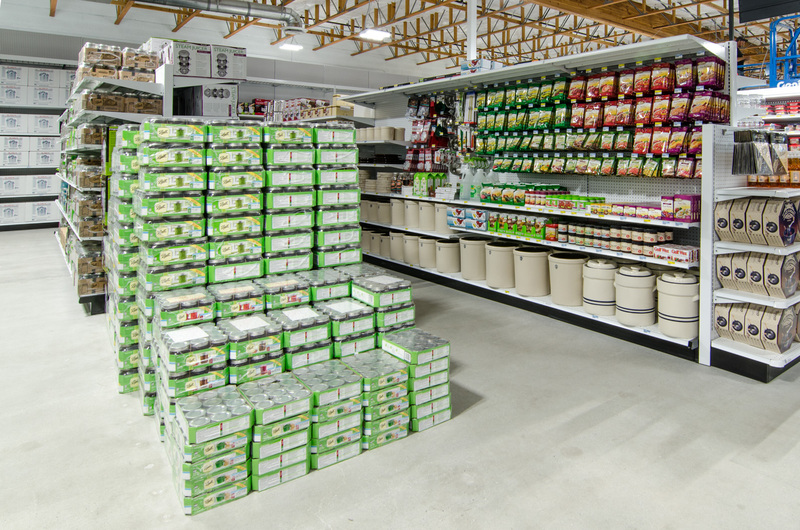 Get all of your canning and fermenting essentials right here, at Smith and Edwards. 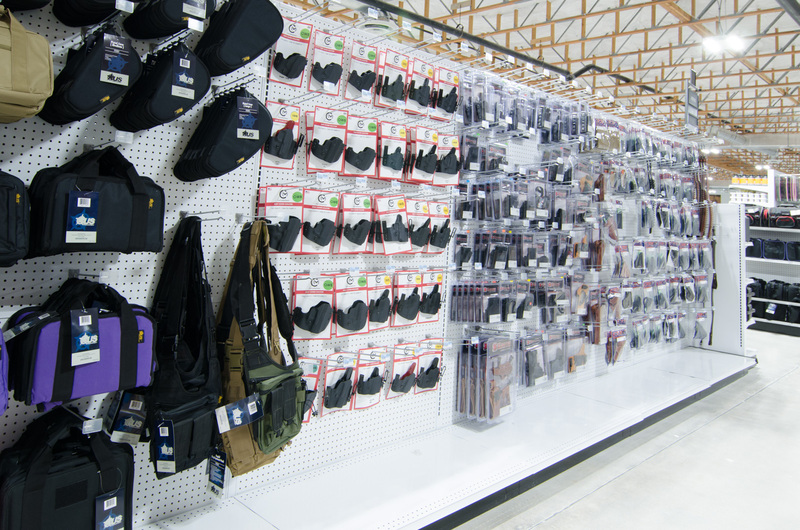 We are sure to have everything you need, if we can find it! 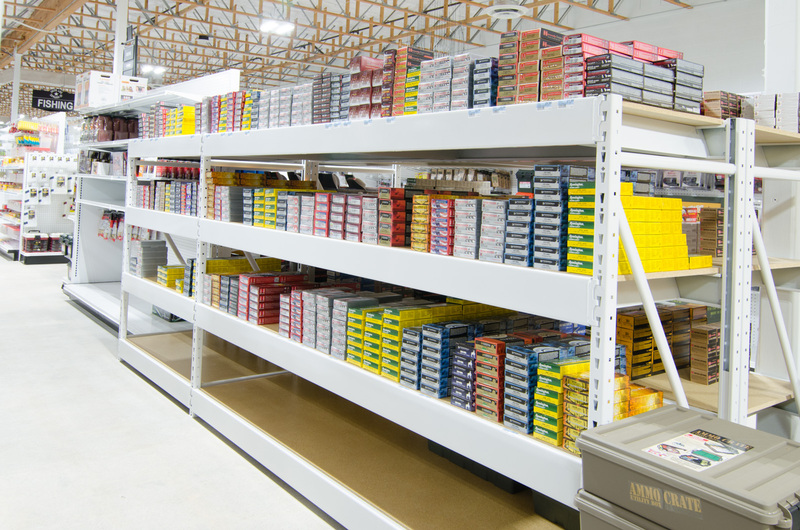 Smith and Edwards has grown and expanded many times over the course of the last 70 years. We have achieved many milestones since our humble beginnings back in 1947. 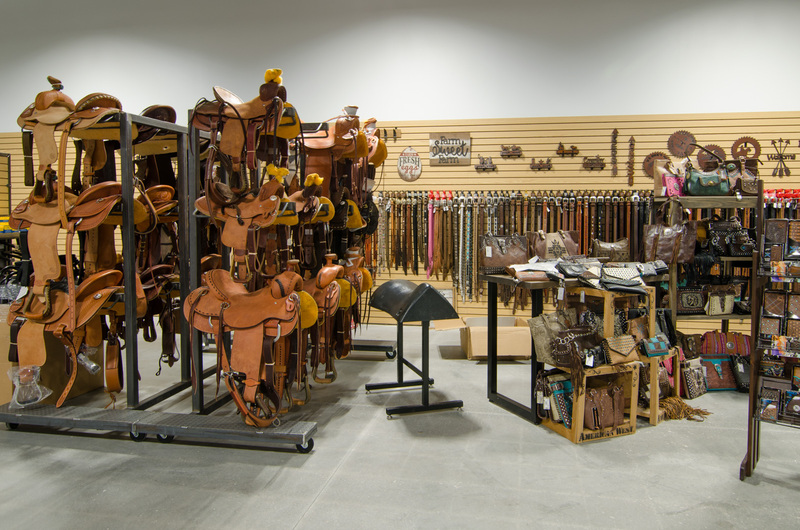 These include such things like partnering with ACE Hardware, becoming a powerful presence in sporting and home goods supplies, and becoming a valuable resource for ranchers and cowboys in our western department. This year we achieved another milestone that we are excited to share with you. 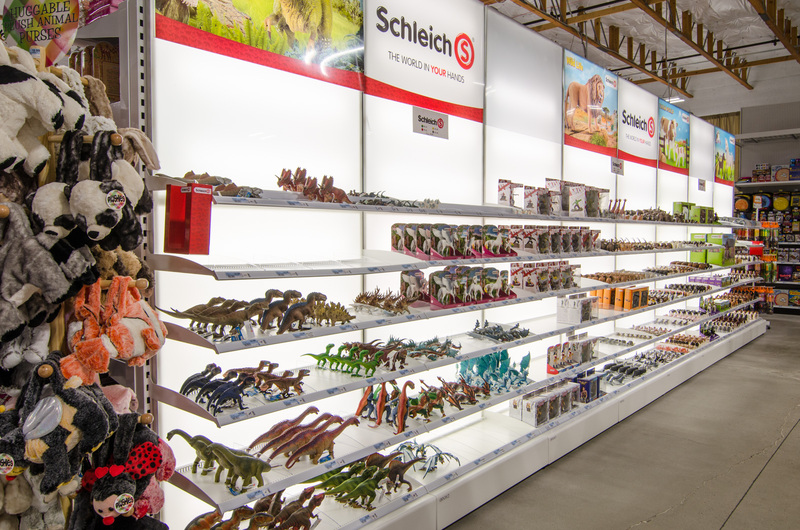 Not only did we reach our 70th anniversary, but we also opened our long awaited (and highly anticipated) second store. That's right! 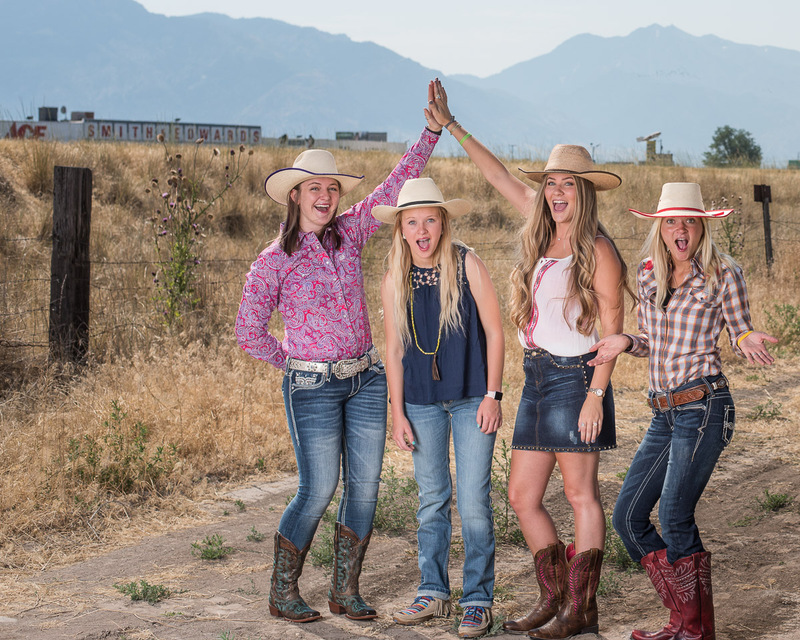 As of August 21st, we opened a new location in Northern Utah. Wahoo!! We couldn't be more excited for this awesome adventure! Or should I say our "one BIG adventure?" We can't wait to celebrate this special occasion and want you to come party with us. 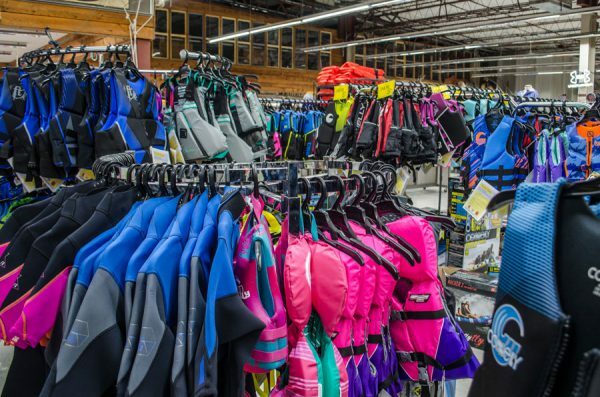 Last fall, we purchased the old RC Willey in West Jordan on the corner of 90th and Redwood Road. It has been an exciting time for us since January. We've been busy remodeling, repainting and rebooting the look of the building so we could open our doors and expand along the Wasatch front. And now we are ready for business! 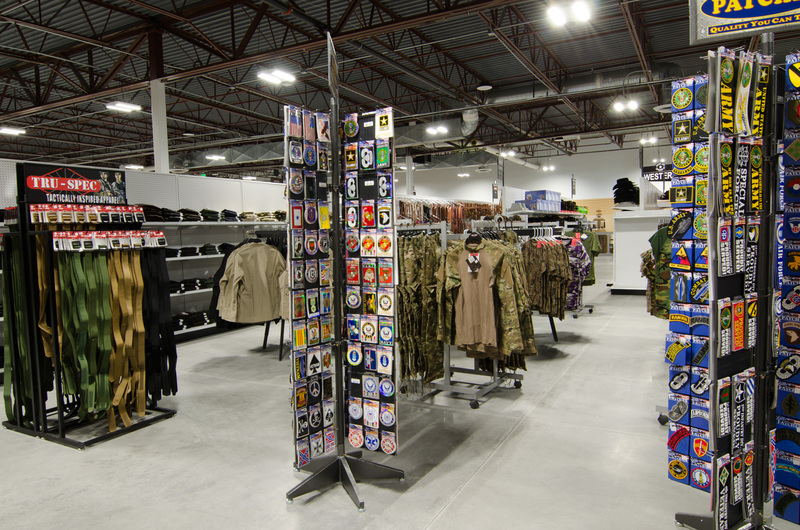 Smith and Edwards - West Jordan opened it's doors to the public on August 21, 2017. We will be celebrating with a Grand Opening celebration on Saturday, September 9th and we want you to join us! The celebration will run from 9 AM-5 PM. 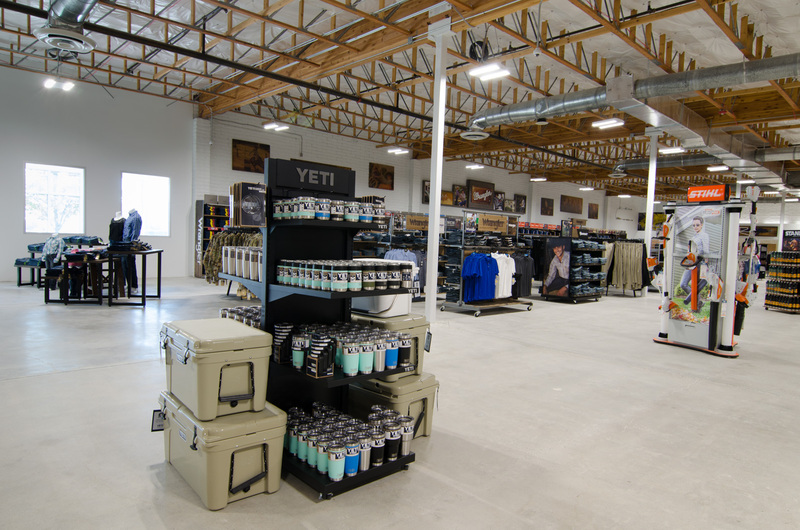 There will be a lot of things happening like vendor booths, giveaways, samples and product demos throughout the store. 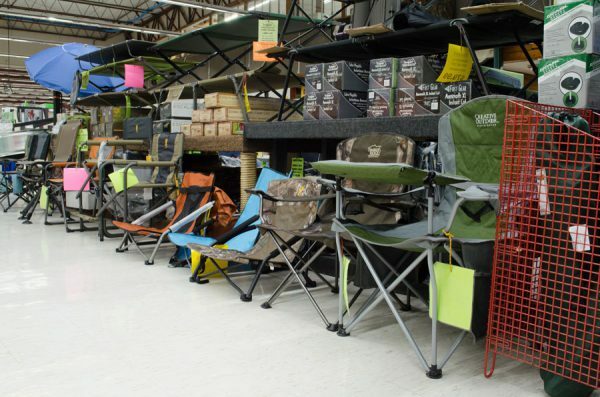 You can even talk to some of our sales reps from companies like Remington, Springfield, Nikon, Camp Chef, Stanley drinkware and more! There will also be a ribbon cutting with the West Jordan Chamber of Commerce on Friday, September 8, at 5 PM. We are open longer at our new West Jordan location! Operating hours for West Jordan will be Monday - Saturday, 9 AM to 8 PM. Store hours for the Ogden location will remain Monday - Saturday, 9 AM to 6 PM. Both locations are closed on Sundays and most major holidays so our employees can spend time with their families. Here at Smith and Edwards we are all about family and helping you get what you need. We've been "finding it" for the past 70 years are eager to continue our "one big adventure." So come on down to the corner of 90th and Redwood! Where you'll still hear us say, "We've got anything you want if we can find it." 360 Electrical – It’s Electric! Tangled cords can give you a headache. Whether it’s your phone charger, your laptop cords, or a curling iron, tangled cords gets really annoying. 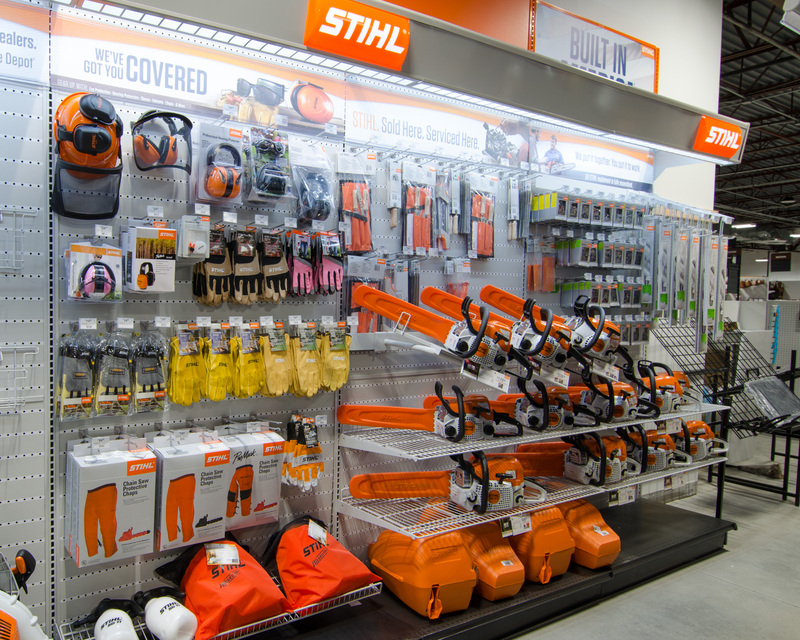 360 Electrical is an innovative company with a solution… and we carry their products right here at Smith and Edwards. 360 Electrical started in 2005 with a desire to make things better. It’s privately owned by a Utah native right here in Salt Lake City. Her creative genius has changed the way we look at electrical outlets. 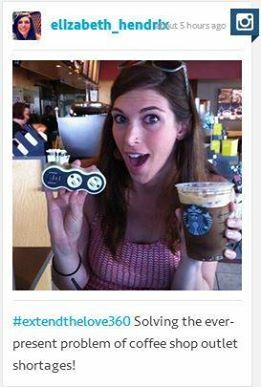 The power cords made by 360 Electrical feature a unique swivel feature. The design allows the electrical outlet to spin freely as a cord gets twisted. Your cord is able to unwind as it’s twisted, thus reducing the amount of tangling your cord can do. 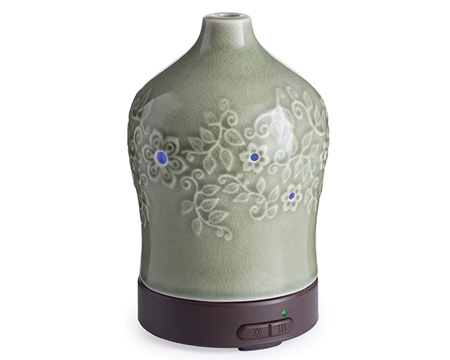 The swivel feature also allows cords to travel to any location in a room with minimal strain on the prongs. Have a charger that doesn’t fit next to other cords on a power strip? 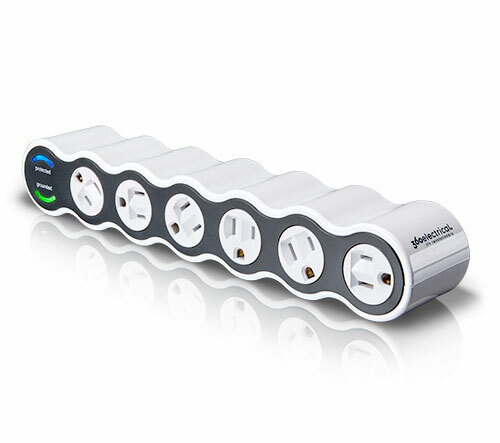 With the Powercurve power strip, you can swivel the outlet so they’ll fit neatly! Not only has 360 changed our perception of traditional outlets, but they have also changed our vision of modern technologies. Many of their power cords feature USB ports for cell phone chargers, too. Whether you need one outlet or several outlets, 360 Electrical has you covered! 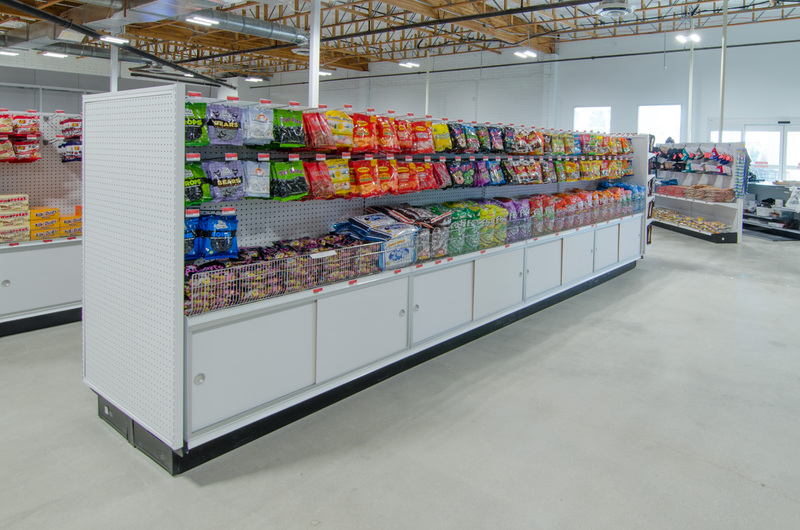 Smith and Edwards carries several of 360 Electrical’s products. 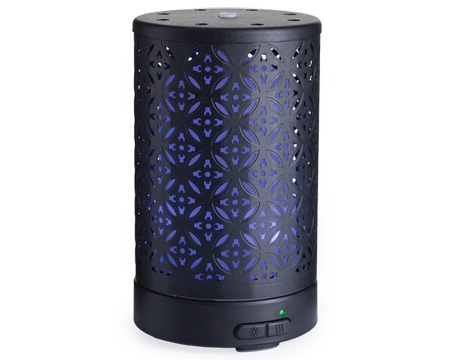 Keep your electronics safe from power surges with the 4-outlet REVOLVE and 6-outlet Powercurve. Power your blow dryer, flat iron, his razor, and have an outlet to spare! The 4-outlet Adapter is perfect for standard outlets in your bedroom or bathroom. The PowerCurve Mini and PowerCurve 7-Outlet plugs are equipped with two 1-amp USB chargers and are surge protected as well. Whatever your power needs may be, you can find a solution right here at Smith and Edwards. 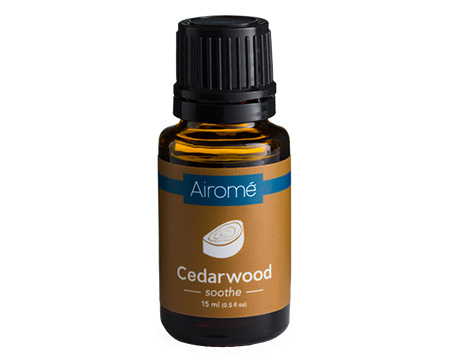 Shop these great products in store or check them out right here on smithandedwards.com! 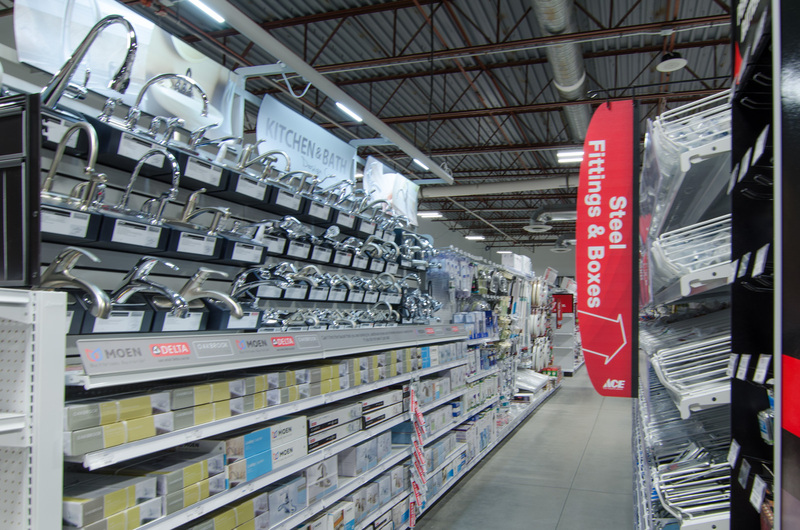 We’ve got what you need and are here to help with all of your electrical needs. 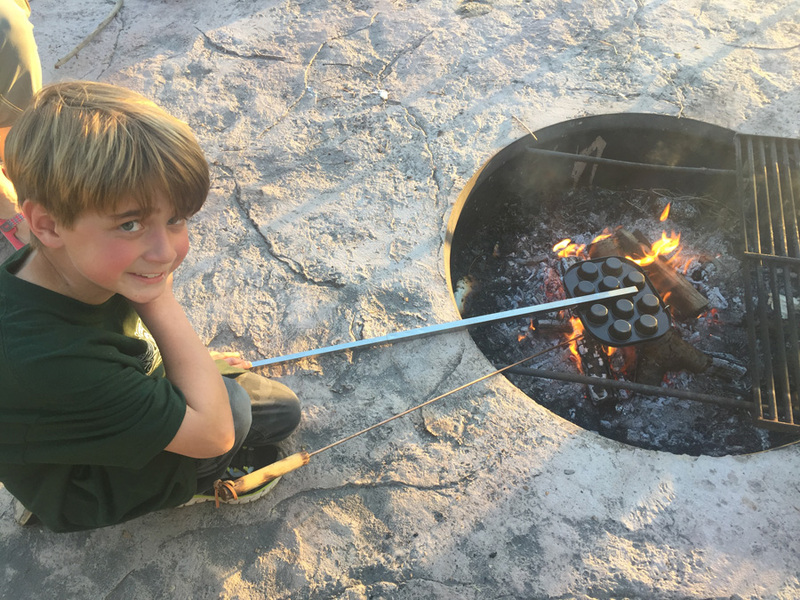 Today, we are going to talk about one of my favorite things… Camping! 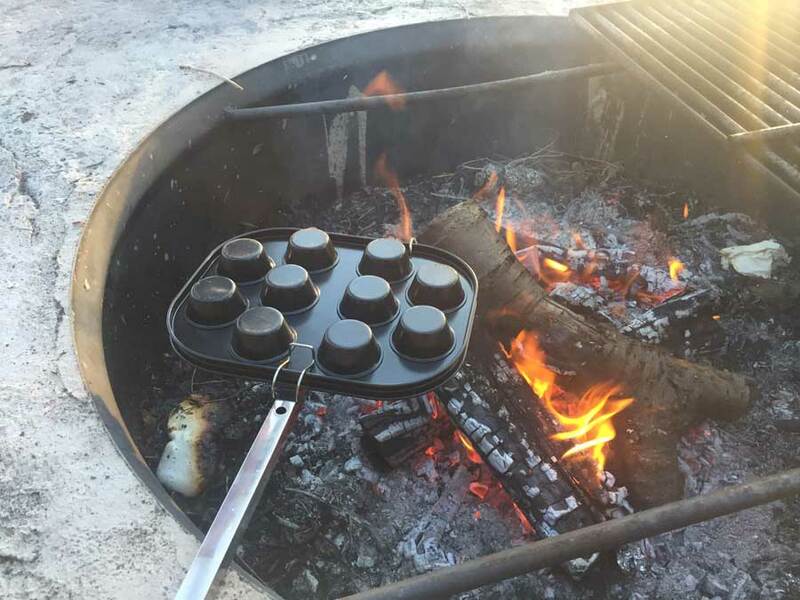 We have two camping essentials that are going to knock your socks off and leave you wishing you could “head for the hills” right now. 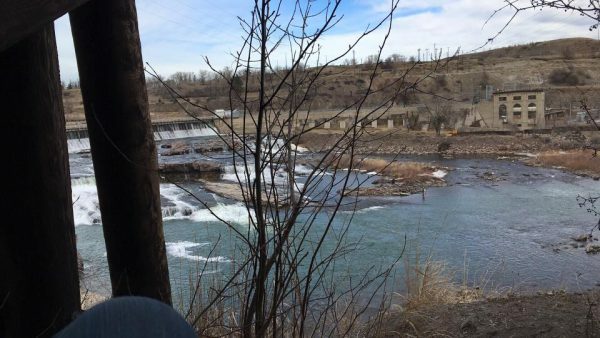 A view near Great Falls, MT from a hammock. Whatever “you may have to” do, you’ll need all the energy possible in order to obtain that goal. 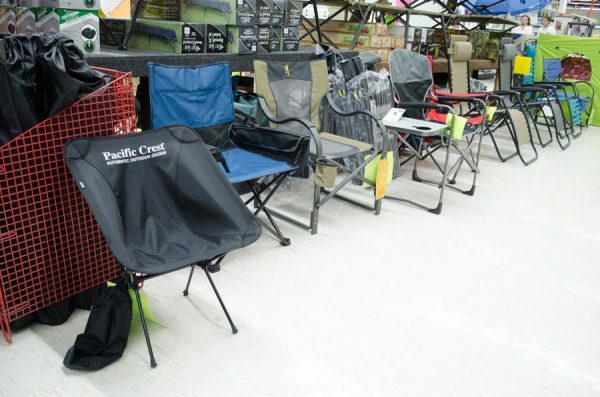 So, you’ll want to make sure that you are getting the best night’s sleep while in the great outdoors. Let’s take a minute to look at my favorite bed, the hammock. 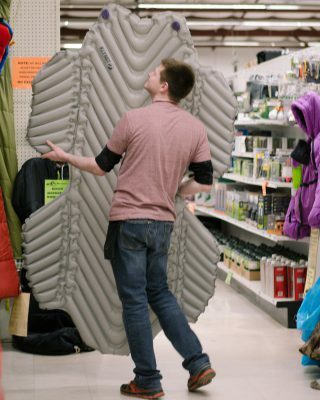 Click Here to shop our great selection of sleeping pads and air mattresses. Hammocks are a recent trend that everyone, especially the younger generation, is going crazy about. We carry a variety of brands and sizes, but my favorite brand that we carry is Grand Trunk. Made out of the same nylon material as parachutes, these hammocks are strong and durable. 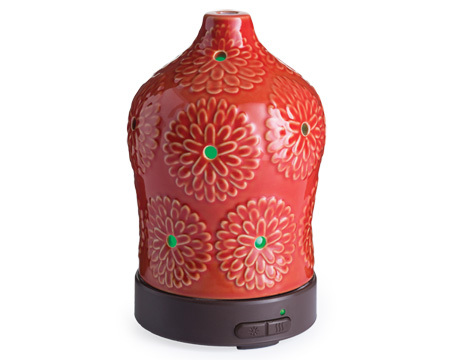 They come in a few different colors and patterns, so we are sure to have one that fits your style. My favorite thing about hammocks is their versatility. 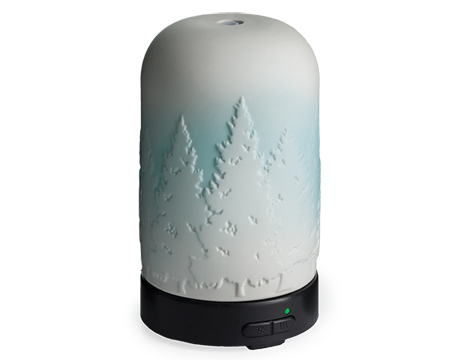 Whether you’re going on a day trip, a 50-mile hike, a 3-day hunting weekend, or just a trip to your backyard, you always have a lightweight, portable resting place that takes minutes to set up and enjoy. 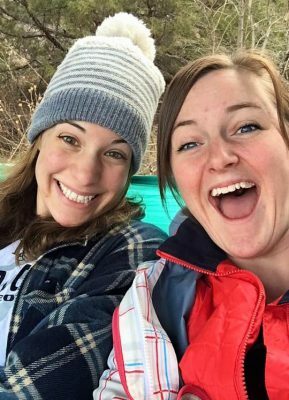 The Grand Trunk double hammock weighs only 2 lbs and can hold up to 400 lbs, so it is easy to enjoy with a friend or by yourself. Plus, at 10′ 6″ long by 6′ 6″ wide, there is no way you could go wrong. 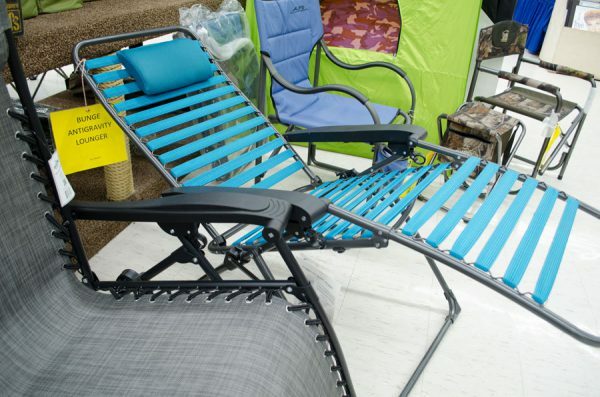 Shop our growing selection of hammocks right here, or give us a call so see what all we have to offer! EmmaLee pictured with her hammock, the Grand Trunk Batik Hammock. Recently I set a goal to go camping with nothing but my Grand Trunk hammock, a tarp, an emergency blanket, and my sleeping bag for shelter. 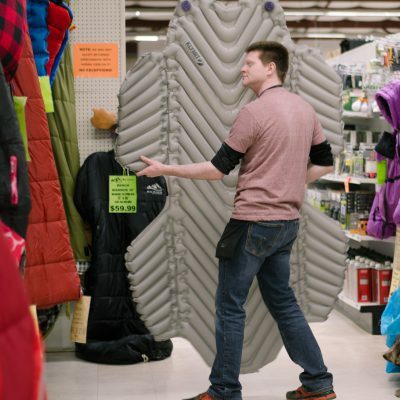 I still have yet to do so and my goal changed slightly when Mike Vause showed me an evolutionary sleeping pad designed specifically for your hammock. Wow! 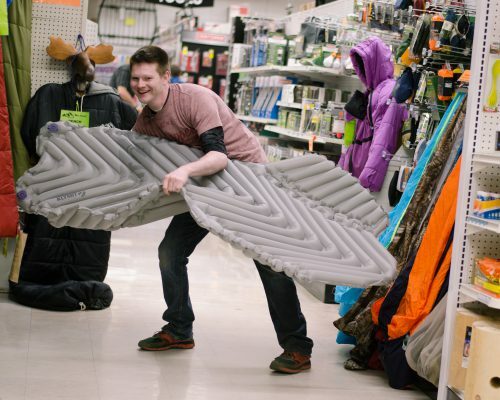 This evolutionary sleeping pad is none other than the Klymit Hammock V inflatable sleeping pad. 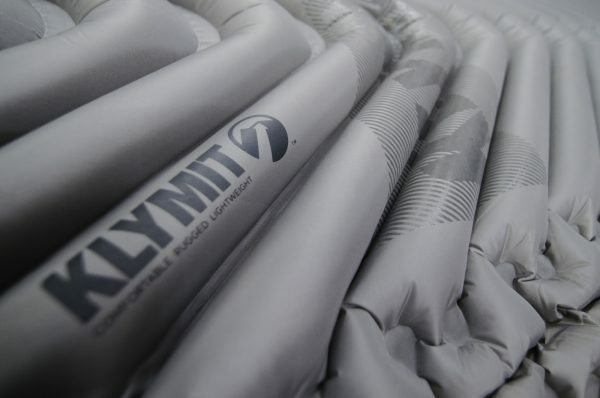 Like all Klymit air pads the Hammock V is made with a V-chamber design that limits air movement and provides excellent insulation. With an R-value of 1.6, it is perfect for the coming season of camping and warmer weather. The two valve system allows you to inflate the Hammock V quickly, using only 15-25 breaths, without the worry of deflating as you go. Hammock V air pad with EmmaLee, who is 5′ 7″ tall. One of my favorite features of this air pad is the grip zones located on both sides of the pad. 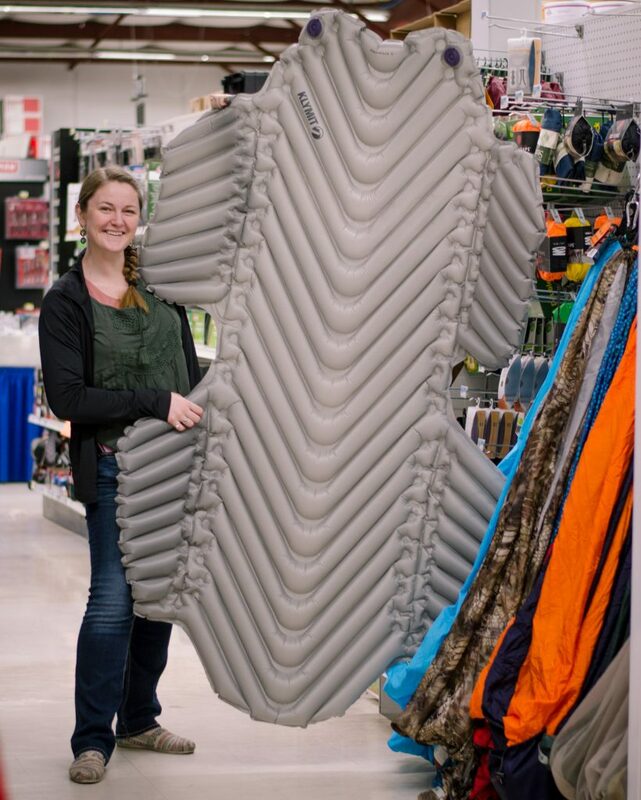 Your sleeping pad will be held in place in your hammock and you won’t have to worry about your sleeping bag slipping and sliding around either. You can check out our other Klymit sleeping pads here. One of the three (3) silicone, non-slip grip zones. 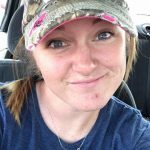 These coming months are my favorite because I get to head outdoors and do some camping and exploring. 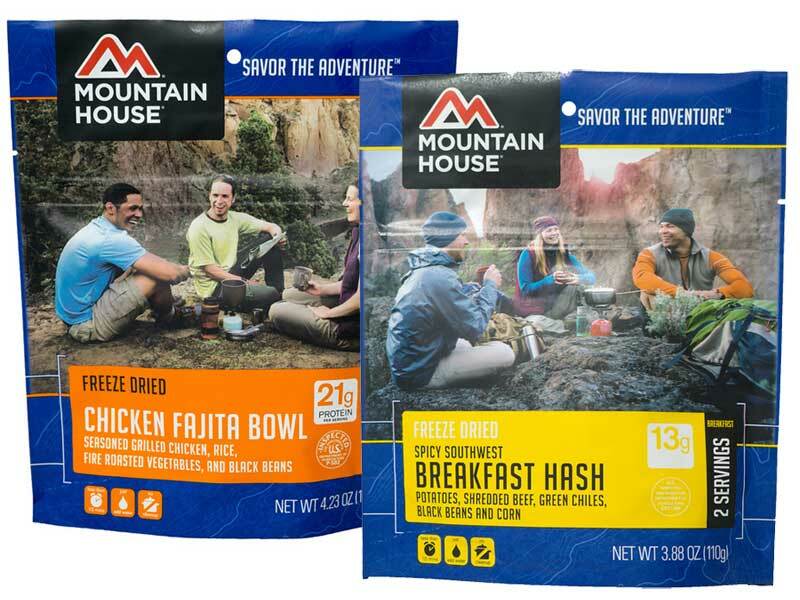 I am excited for my night’s sleep to allow me to climb to the top of the next mountain and take time to enjoy the beautiful vistas in comfort. Be sure to get a tarp and rope to keep the rain off of you. 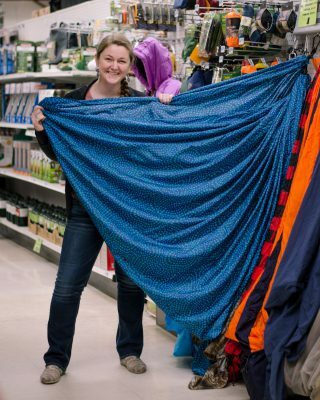 Shop online or in our store for tarps and rope. Buy your very own Grand Trunk Hammock and Klymit Hammock V Sleeping Pad at Smith and Edwards! 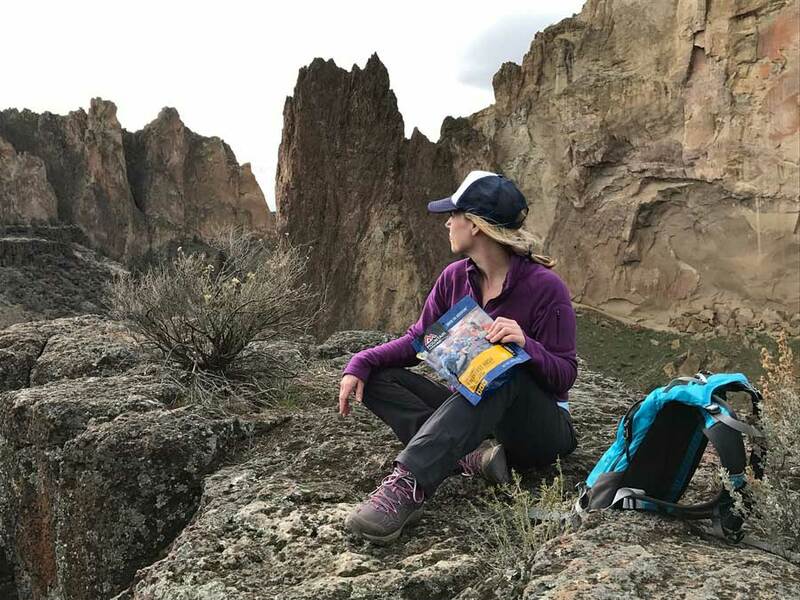 We’ve got the gear you need for all of your adventures and our helpful and fun staff will be there for you every step of the way. 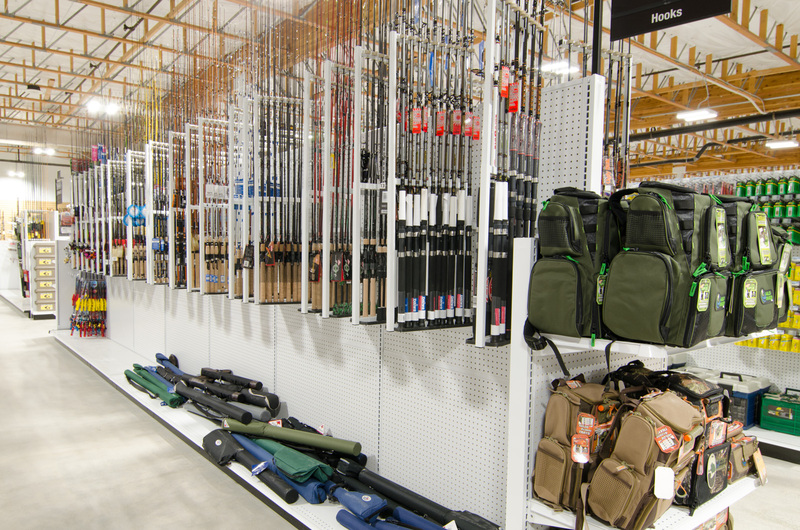 Let us answer your questions and help you find exactly what you need. Come on in or give us a call today! 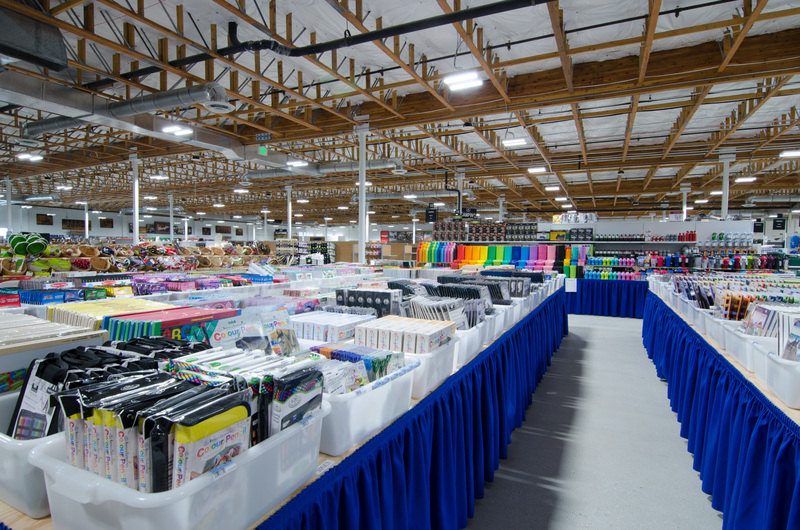 Smith and Edwards is continuously growing and expanding in our business, and that includes working with new manufacturers and carrying new brands. 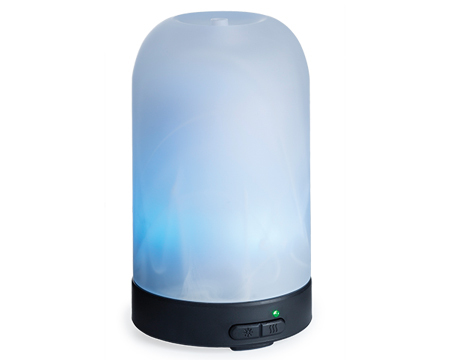 Recently, we have added Hangman® Products to our store! 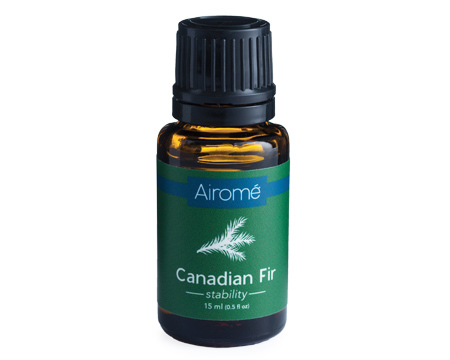 There are a few reasons for YOU to be as excited about these products as we are. Hangman Products make your Walls Happy! Hangman Products are perfect for hanging pictures and other wall art. 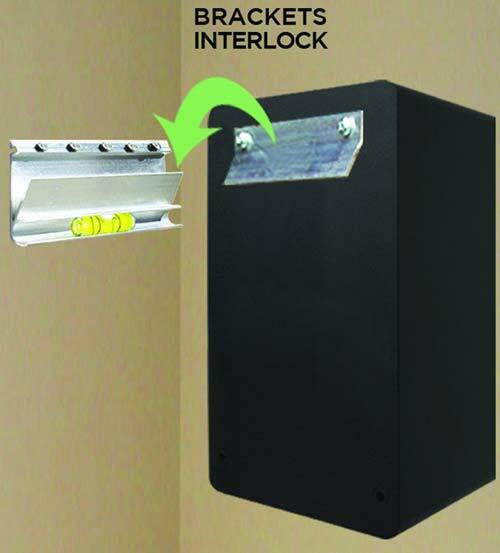 Hangman also carries products to hang your electronic devices, such as the Wallsaver Speaker Hanging Kit and No Stud TV Hanger. 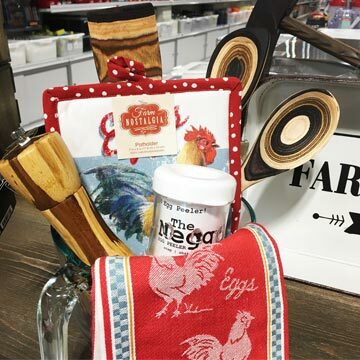 We know that you’ll love these Hangman products! With a motto of “Hanging solutions for everyday needs,” they are perfect for organized people. 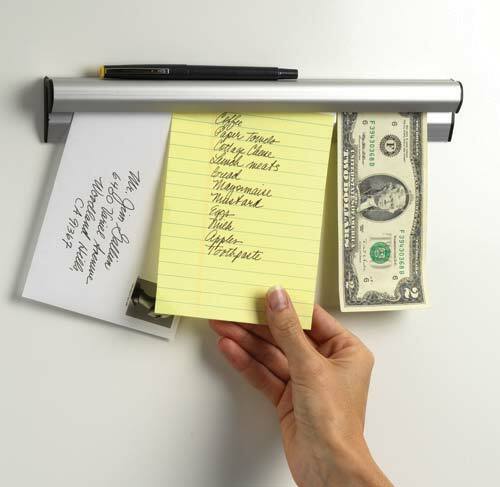 They can even help the unorganized person become organized, too! Hangman Products is an American hardware company that makes most of their products right here in the USA. They are made with quality and care for their customers. 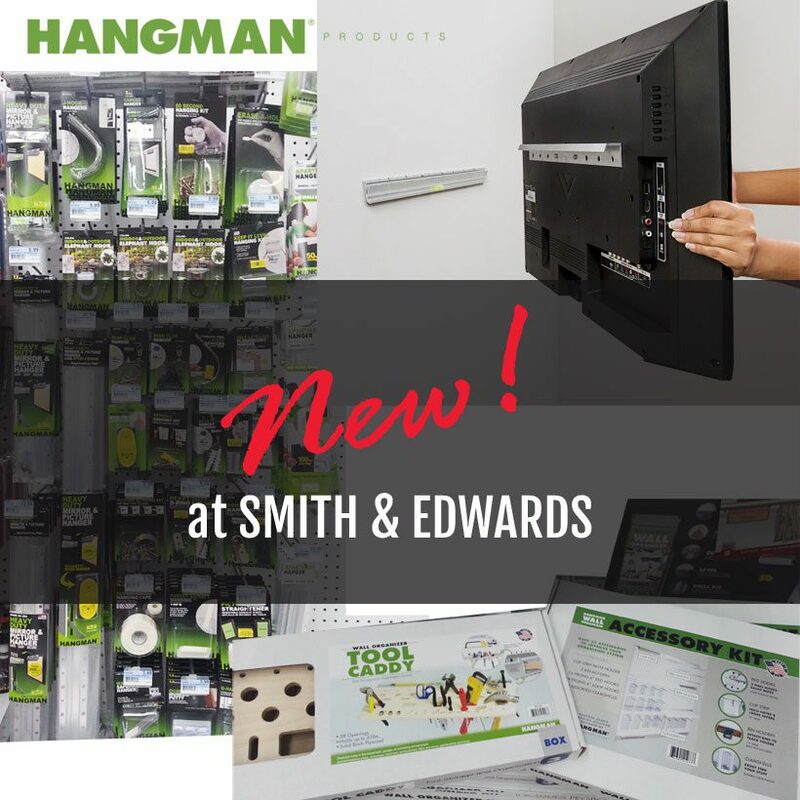 You’ll find Hangman Products on aisle 40 by the Rope Room at Smith & Edwards off I-15 off exit 351 in Ogden, Utah, as well as right here on our website. Check out Hangman on Instagram and their Pinterest boards for even more inspiration! If you’ve ever been shopping for women’s jeans then you understand exactly how frustrating it can be. Either they fit your waist and hips and you feel like you’re going to split the leg seams with every step, or they fit your thighs and hips and gap at the back of the waistband. There is just no winning, or so it would appear. What you need to do is identify what you like and steer clear of things that don’t match up with that. A jean’s rise is determined by how far the waistband of the jeans comes up the waist. The greater the distance is between the crotch and the waistband the higher the rise. Each brand varies from one another, but there are typically three main rises. You can approximate the rise of a jean by measuring from the crotch seam to the top of the front waistband. Mid-rise jeans sit just below the waist or about an inch below the navel. 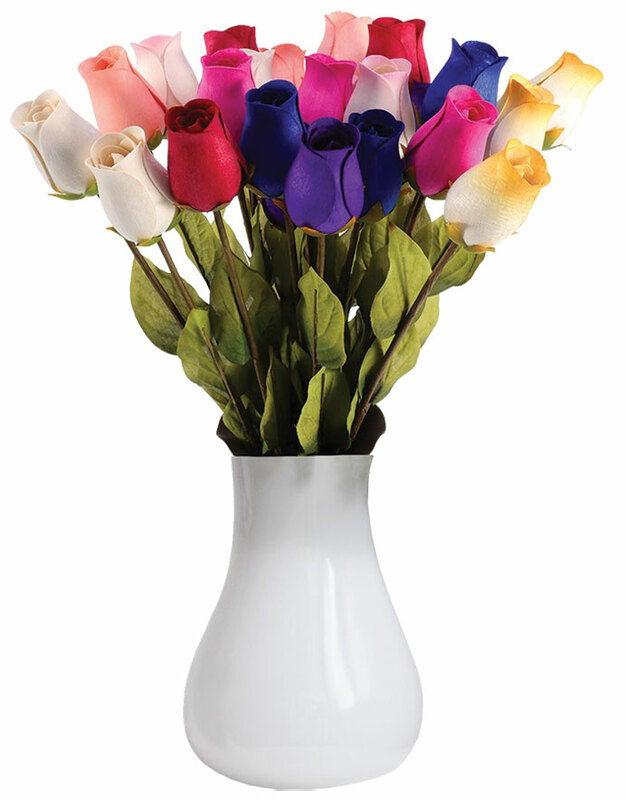 This popular rise is neither too tall nor too short, measuring between 9″ and 11″. Most body types look flattering in this rise! 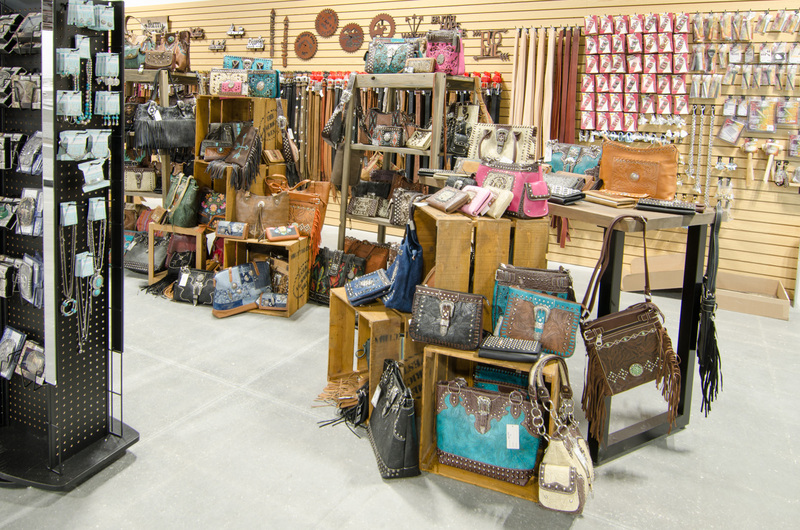 From Wrangler’s Cash and Q-Baby to Cinch Ada, Silver Aiko to Rock Revival, you’ll find something you love. Low-rise jeans sit a few inches below the navel. 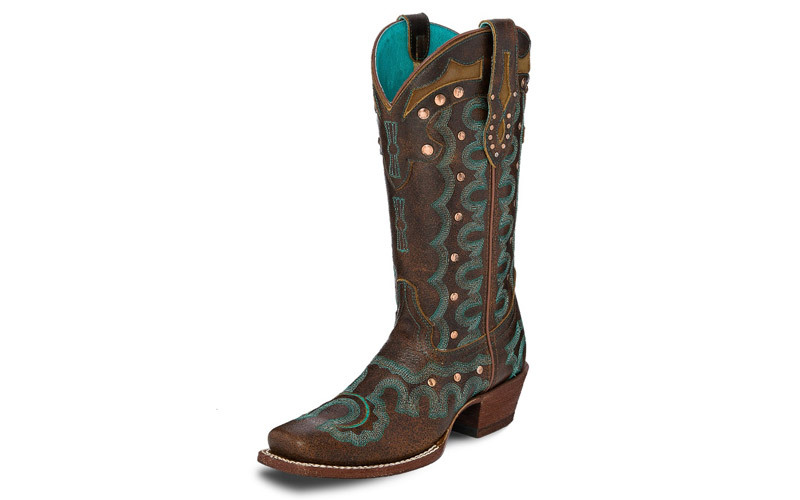 The rise is between 7 – 9-1/2″ and are most flattering on slender figures. Keep in mind that “muffin tops” and “love handles” are often accentuated by this fit style. 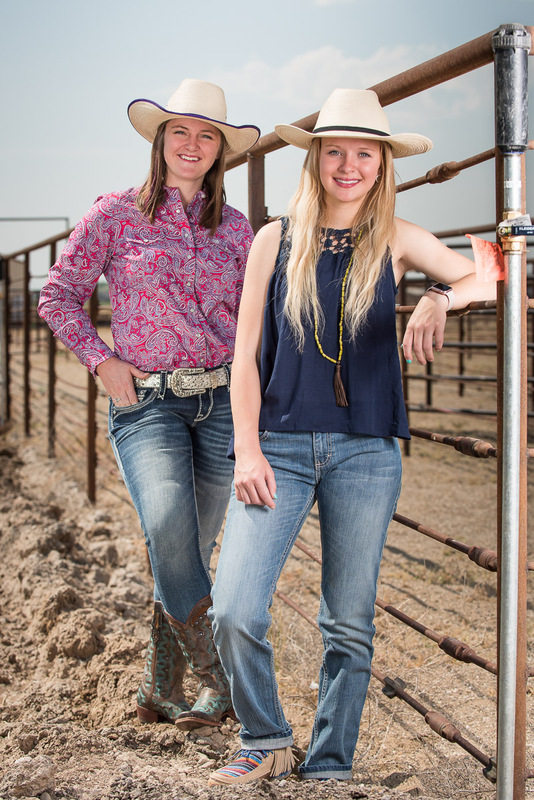 Check out our Wrangler Sadie and Cinch Bailey styles, and our selection of Rock Revival jeans. 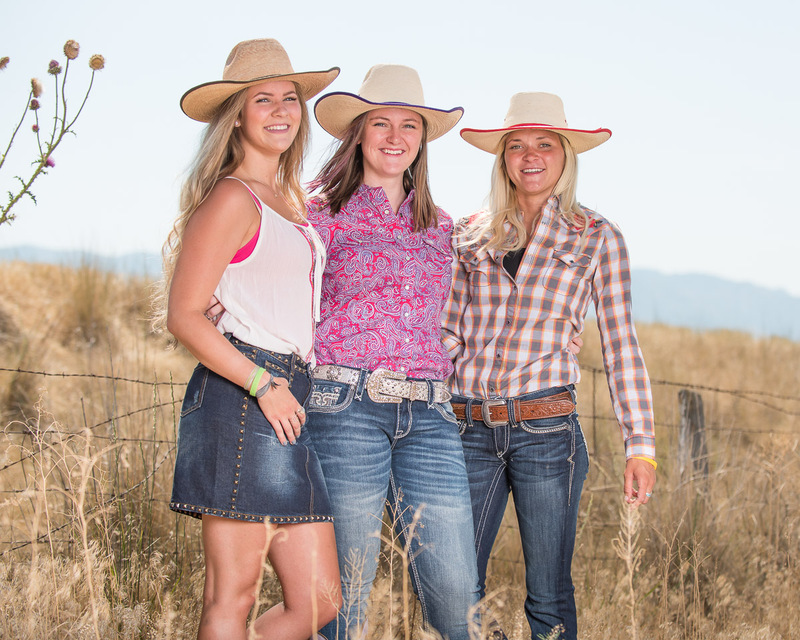 You’ll find Women’s Jeans on our website, and even more styles in our Ogden, Utah store. In women’s jeans, there are so many different leg openings and it can get real confusing. You may ask quite frequently, “When is the best time to wear ______________ jeans?” This leg opening section of my women’s jeans guide should help you out a lot! Skinny jeans are tight around your calf and are perfect to wear with fashion and western boots, most flats, and heels. They taper from the knee down and have an ultra low profile. 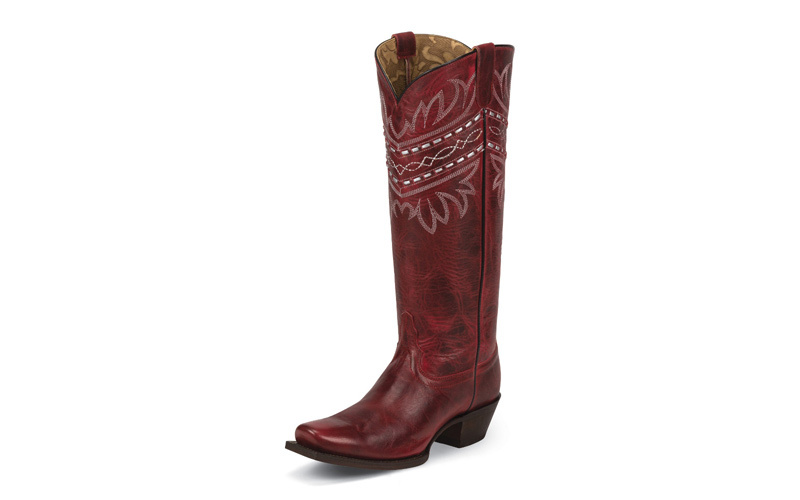 This makes them perfect for showing off those red high heels or your favorite western kicks. Take a look at our Cruel Girl Abby jeans. 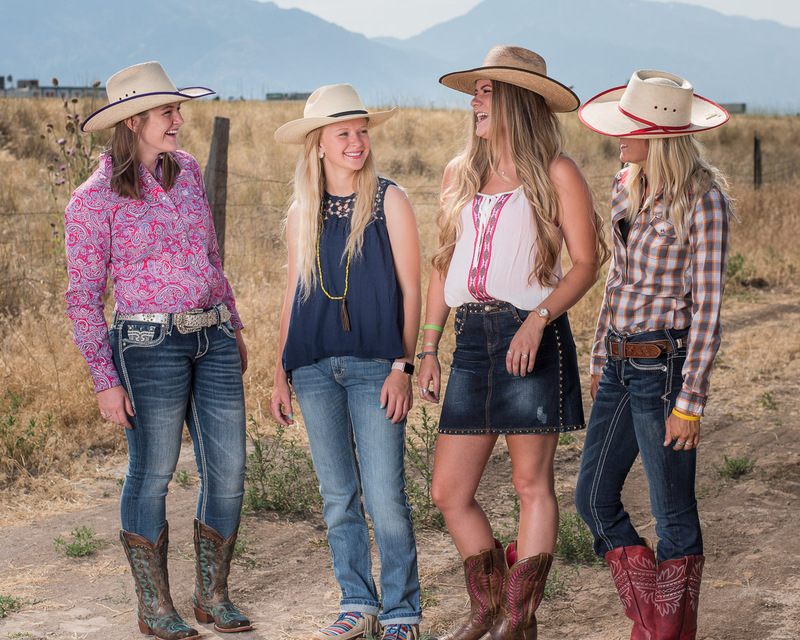 Cruel Girl and Cinch are sister companies and you can find multiple styles sold right here in our Ogden location. Straight leg jeans have the next lowest profile and are extremely versatile. The bottom half of the pant leg goes straight down from the knee, so they are a little looser around your calf than skinny jeans. 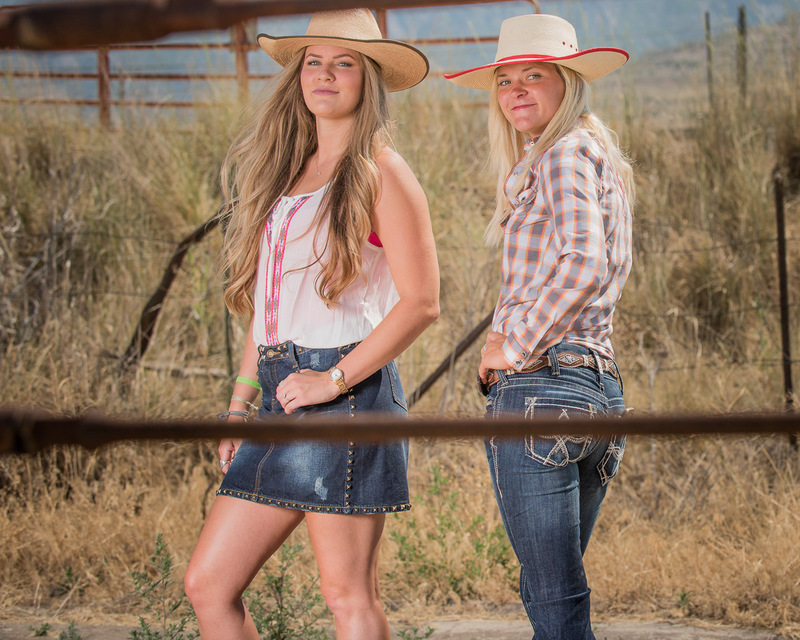 You’ll love these Silver Suki styles and the original Wrangler 14MWZ cowboy cut jeans in white and blue. Ladies’ straight leg jeans tuck into boots fairly well and can be worn with most footwear. If you like the cuffed look, these jeans are perfect for getting an even cuff with no puckering. 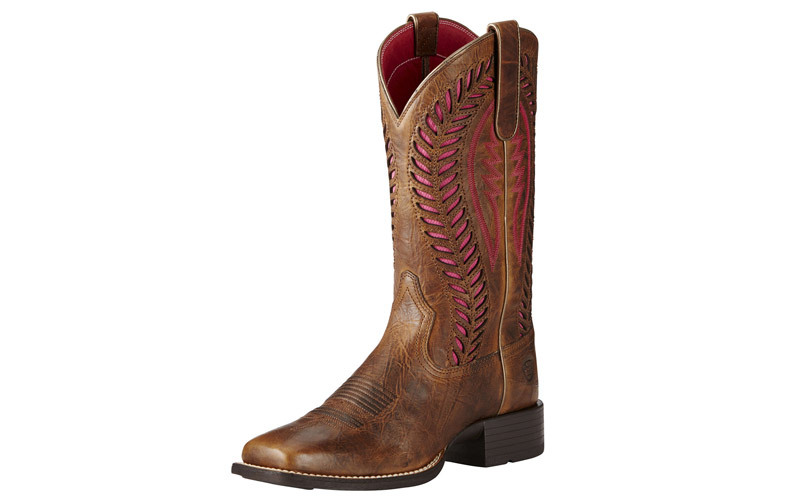 Bootcut jeans are narrower in the knee than at the leg opening, so you can put the pant-leg over your boots. A lot of your western, riding, or work jeans are boot cut. You can also wear this style with your favorite pair of tennis shoes. They don’t cuff as well as your skinny or straight-leg jeans. 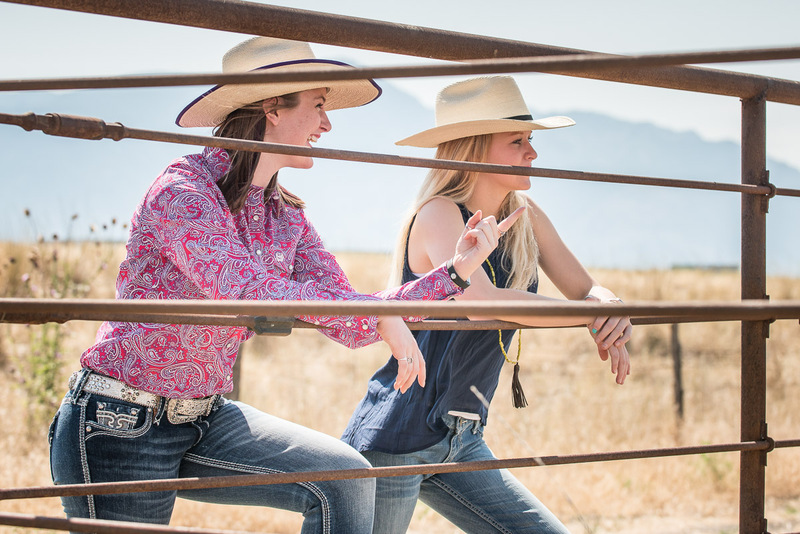 Wrangler’s Mae, Cash, and Classic Fit jeans are as hardworking and fashion forward as you are. 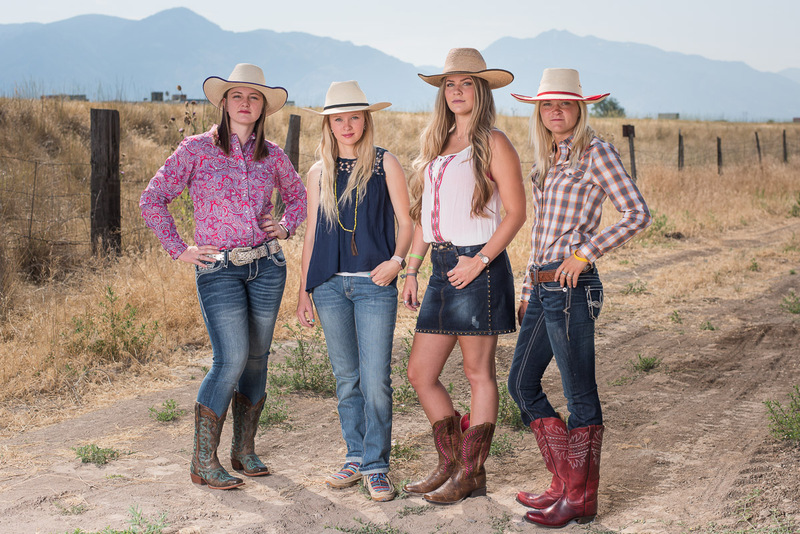 Also check out the different Ariat styles we carry. Wide leg and flare leg jeans have a very distinct flare. The hem of the pant-leg is wider than the knee. “Trouser cut” is one specific style of wide leg pants. We know you’ll love this Cruel Girl Jayley style with a trouser cut. A jean’s fit is determined by how tightly it fits through your waist, hips, and thighs. Fit styles include slim, regular, relaxed, and loose fit. Depending on the manufacturer of the jeans you’re looking at, you may see different terms or style names on the jean fit spectrum. This section will give you a base knowledge, but you’ll always want to check with the manufacturer to determine the most likely fit of the jeans you want to buy. Slim fit jeans hug your curves tightly and are narrow from the waist through the hips and thighs. Brands such as Rock Revival, Miss Me, and Grace in L.A. tend to have a slimmer fit. Take a look at these and other great brands in slim fit. Regular fit jeans hug your curves but offer a better range of movement than slim fit. They are a little looser between the waist, hips, and thighs. This common fit is flattering and comfortable. 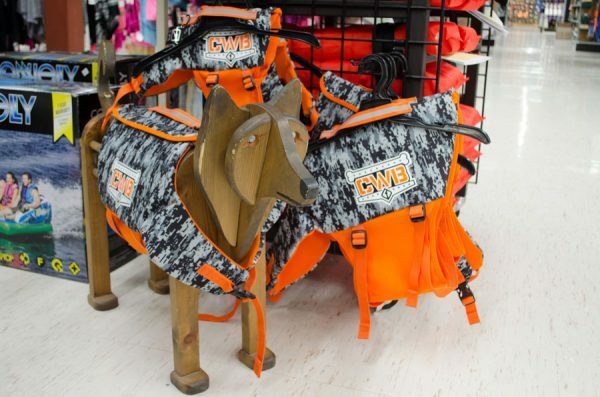 We carry this fit in brands such as Silver, Ariat, and Wrangler styles 09MWZ, WRC10, and WRQ20. Relaxed fit jeans fit loosely through the waist, hip, and thigh. 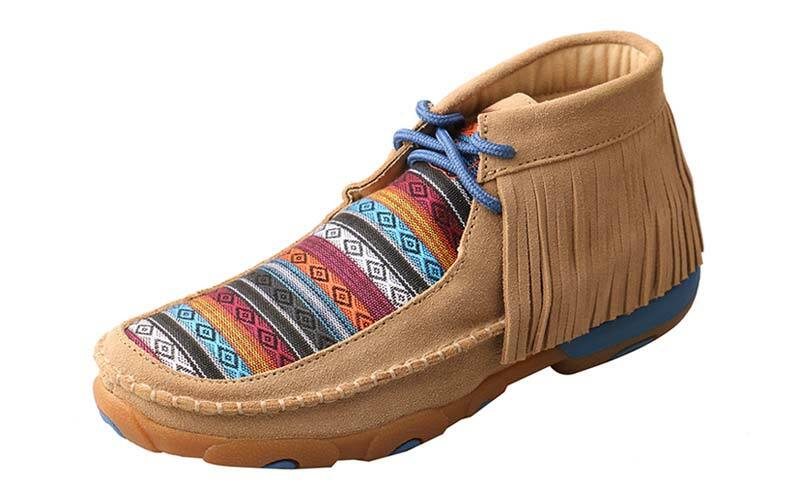 They are more comfortable than other fits because of the extra room and freedom of movement. 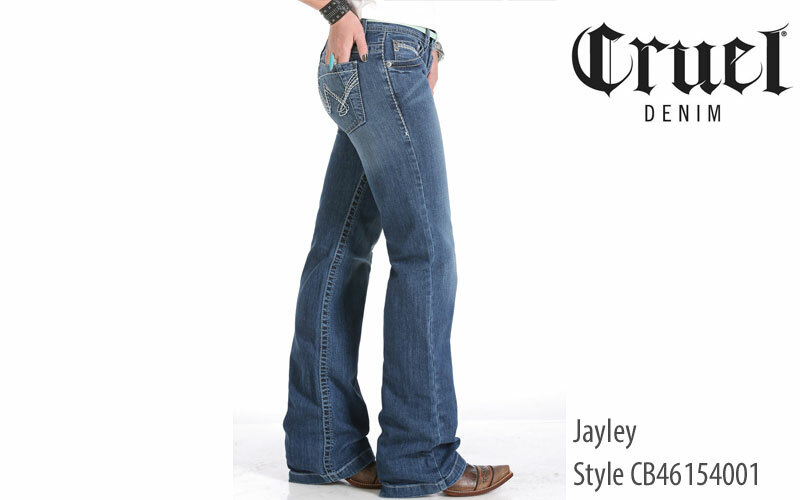 Cinch’s Ada and Bailey styles are the perfect jeans for that girl who needs to move! We also have a variety of Wranglers and other brands with this same great fit. Loose fit jeans have even more room through the hip and thigh. This fit is baggy through the waist, hip and thigh. They allow for better movement and added comfort. Many of your boyfriend-style jeans would be considered loose-fit jeans. Now that we have gone over all of the basics about a jean’s fit then you can be set free, right? Unfortunately, it’s not quite that easy. There are just a few final things to keep in mind when buying and caring for jeans. First, just find what you are comfortable in. The next time you go shopping, take your favorite pair of jeans with you. This will help you find jeans similar in size, style, fit, and color to aid you in your shopping experience. Next, learn how to care for your jeans. To ensure that jeans will fit the same way every time you wear them you need to wash them in cold water and avoid the dryer. Hot water and heated drying will cause your jeans to shrink and your jeans will be unable to recover. One last thing to keep in mind is getting your jeans starched at the dry cleaner’s every once in a while. 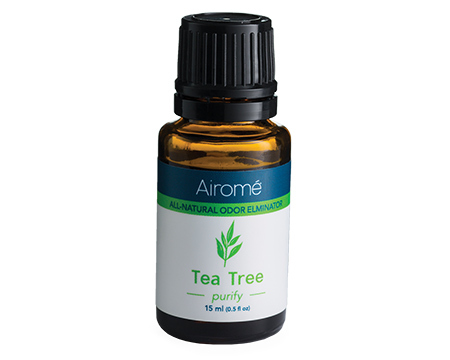 This will keep your jeans feeling and looking like new. It also helps to prolong the life of your jeans. Give us a Call or Come on Over! 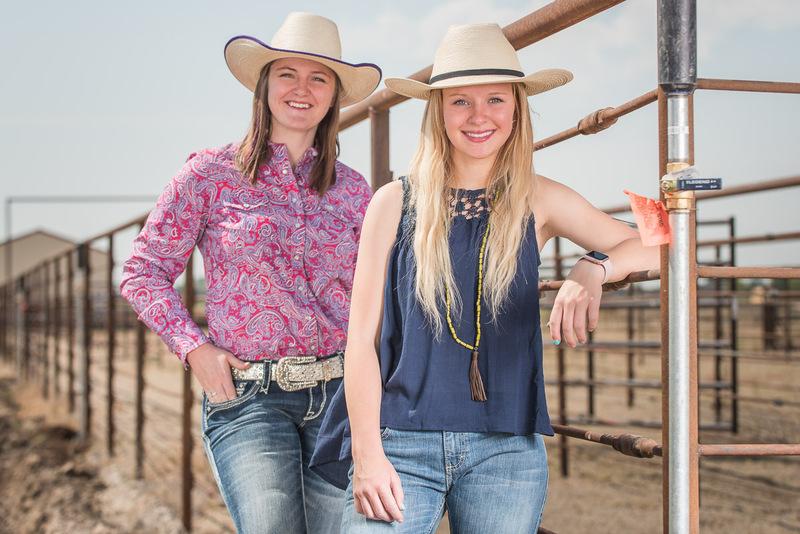 Whether you’re heading to the rodeo, out for a night on the town with your closest girlfriends, or just looking for more everyday outfits, we are happy to help. Come in and see how we can help you today in Smith & Edwards’ Clothing department. 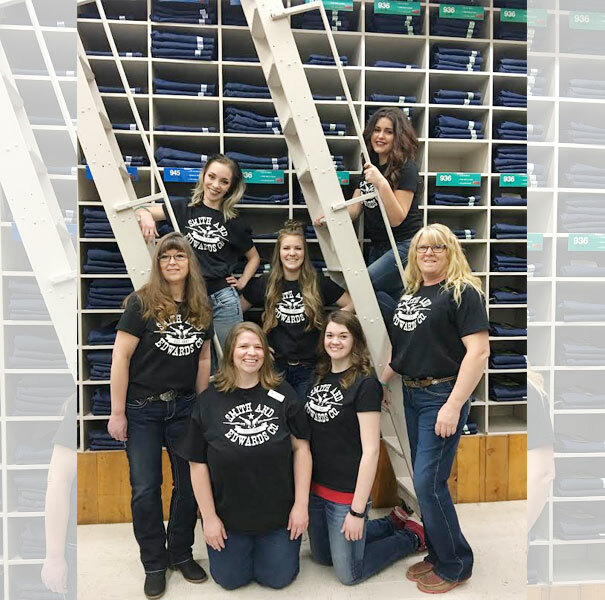 We’ve got tons of experience and a great crew of ladies here that know our jeans in and out and will help you find something that looks good. They are eager to offer advice while you shop and help you look your best. We’ll help you find the perfect pair of jeans for your shape and style. You’ll get the best individual attention that you need to look good and feel great. Plus, we love to help you find matching shirts and blouses for the perfect outfit!